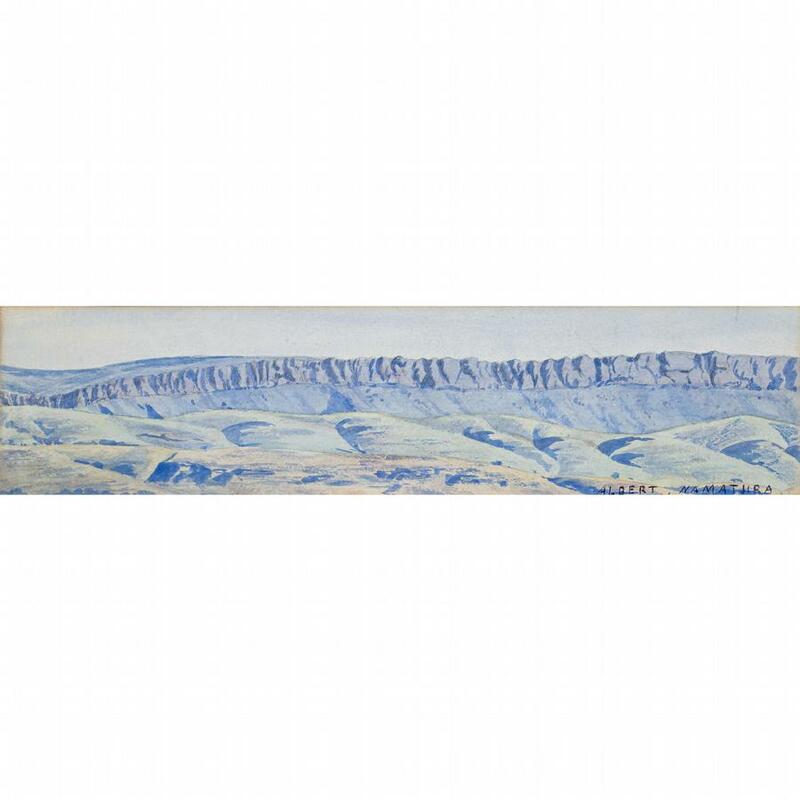 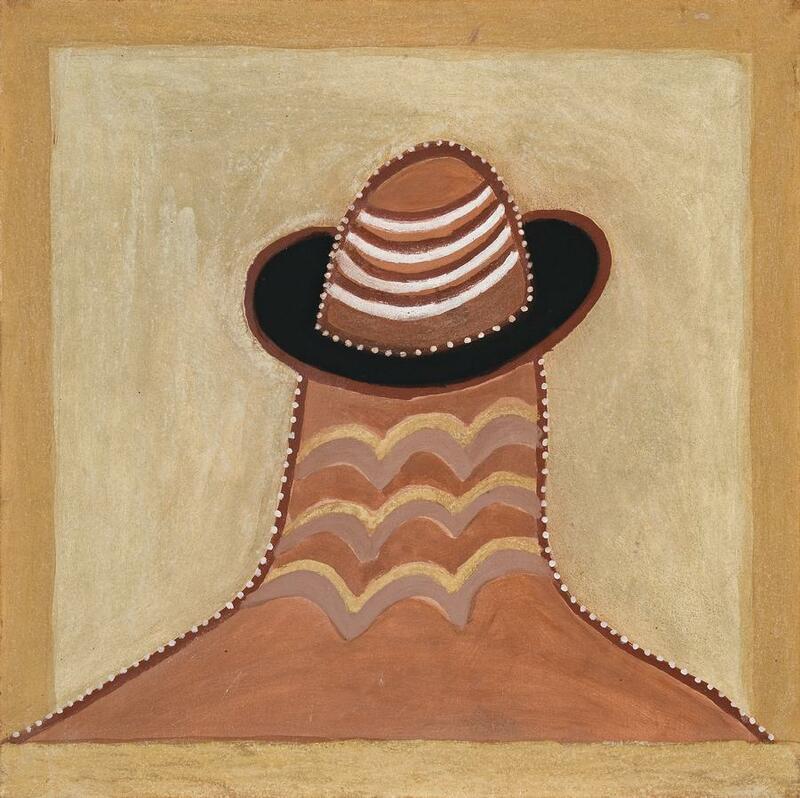 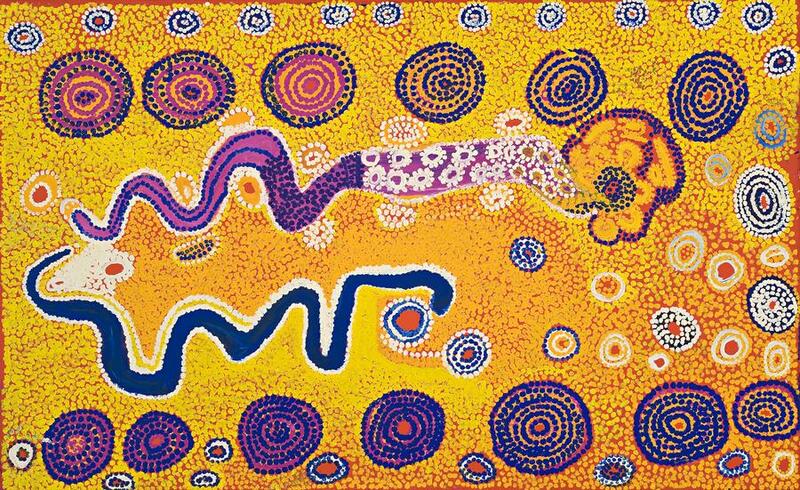 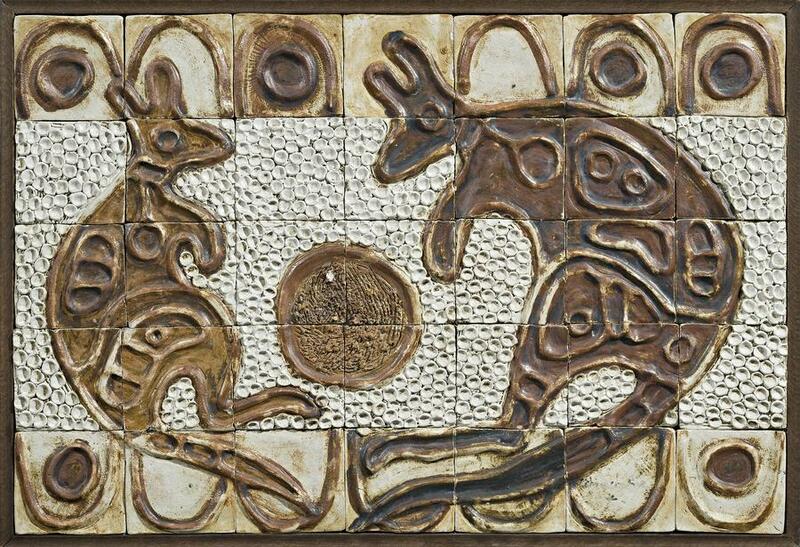 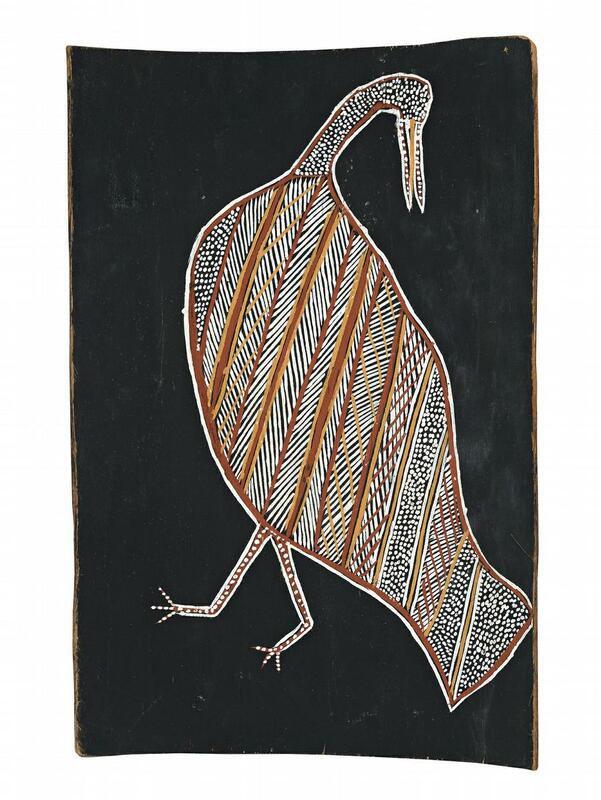 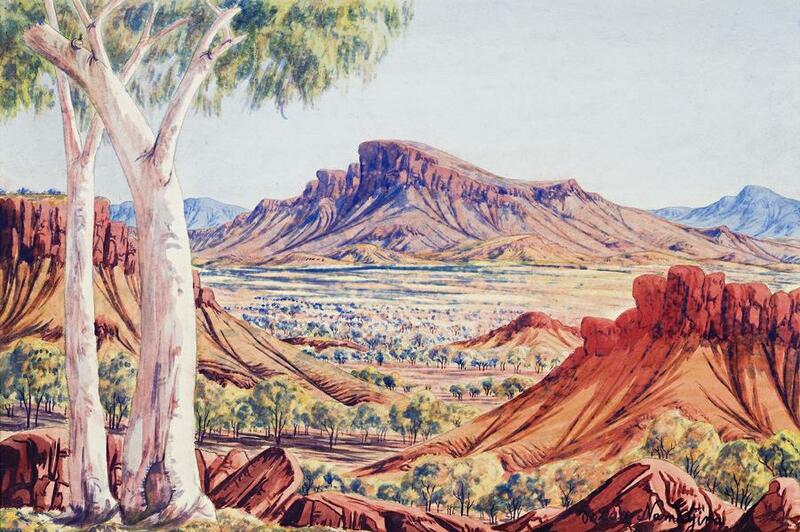 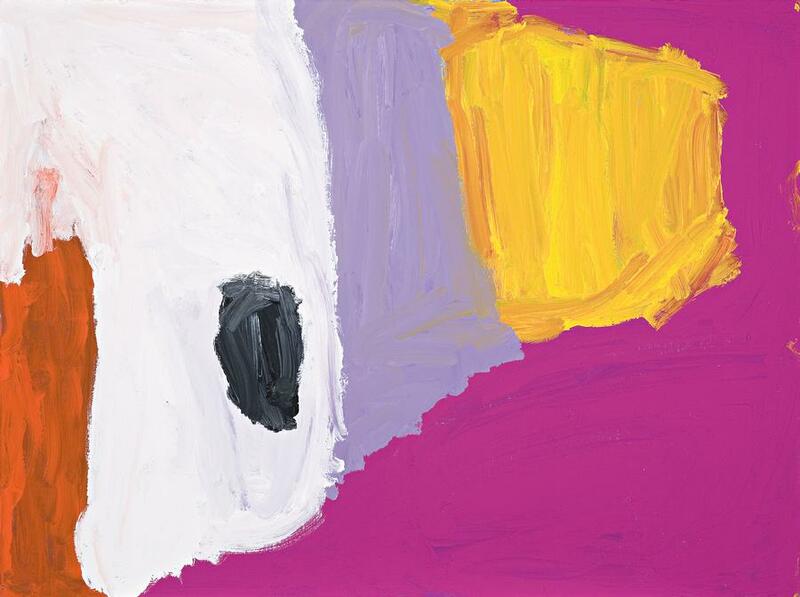 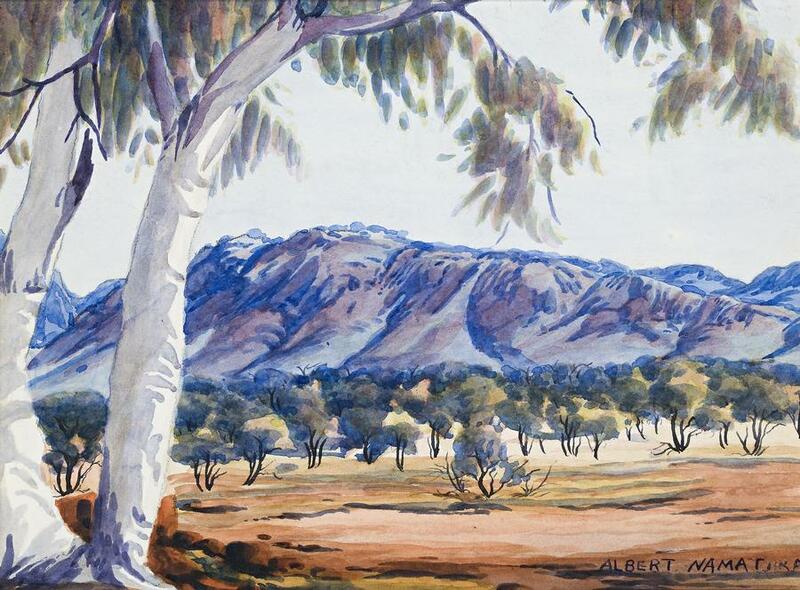 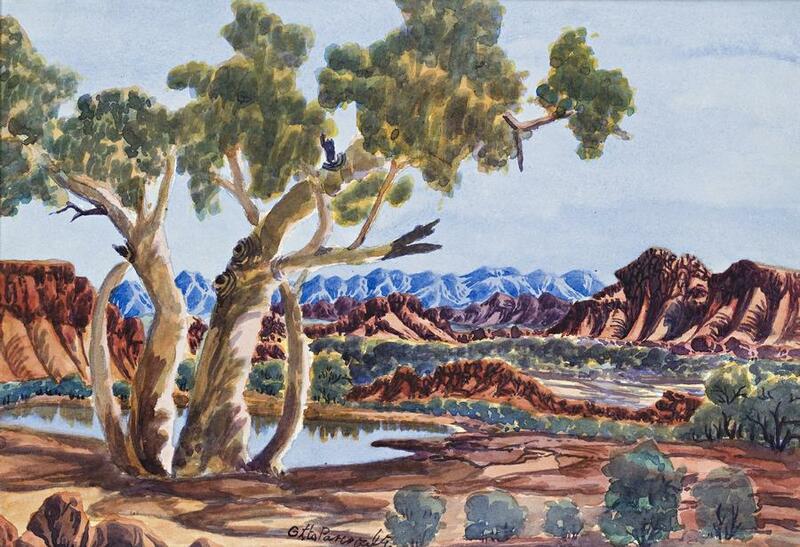 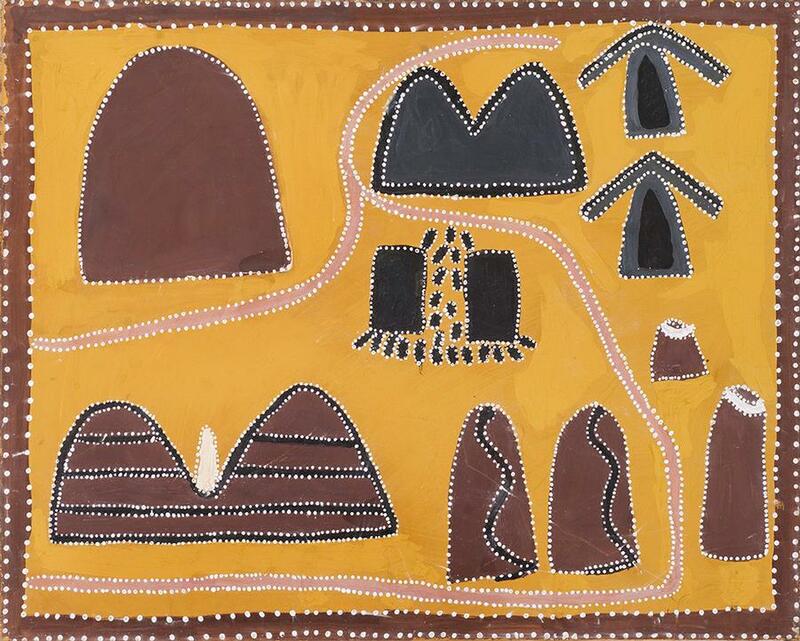 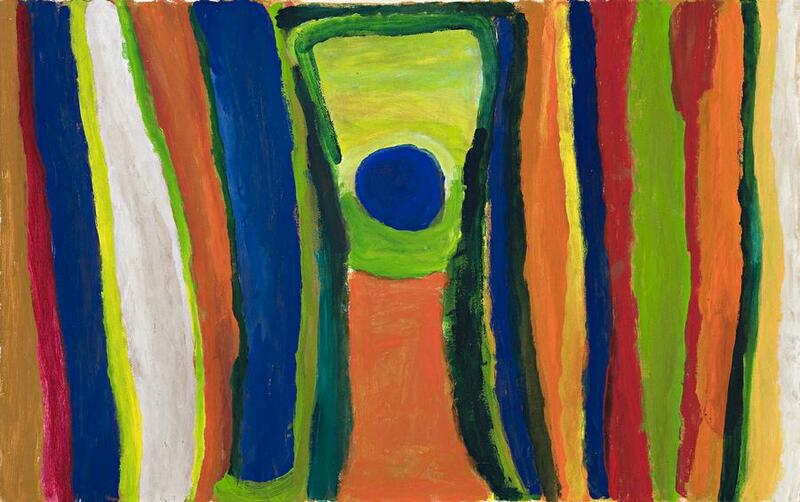 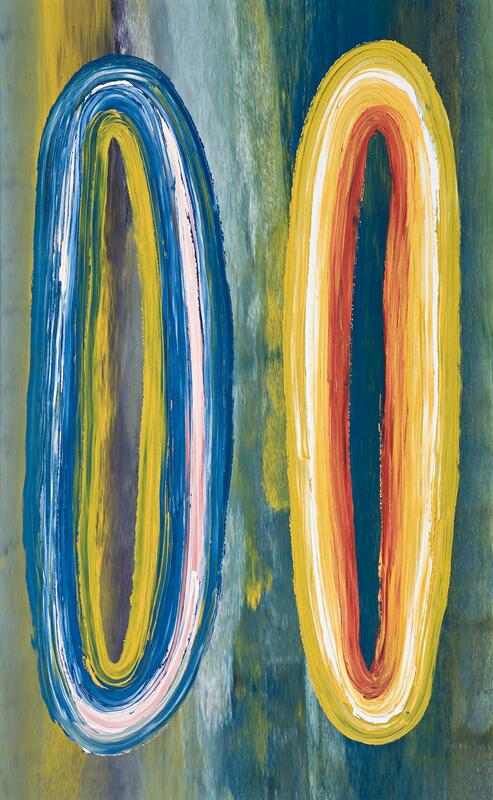 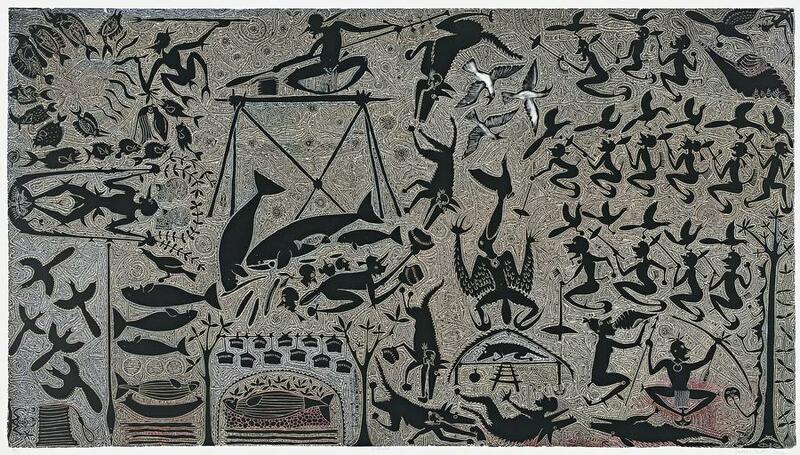 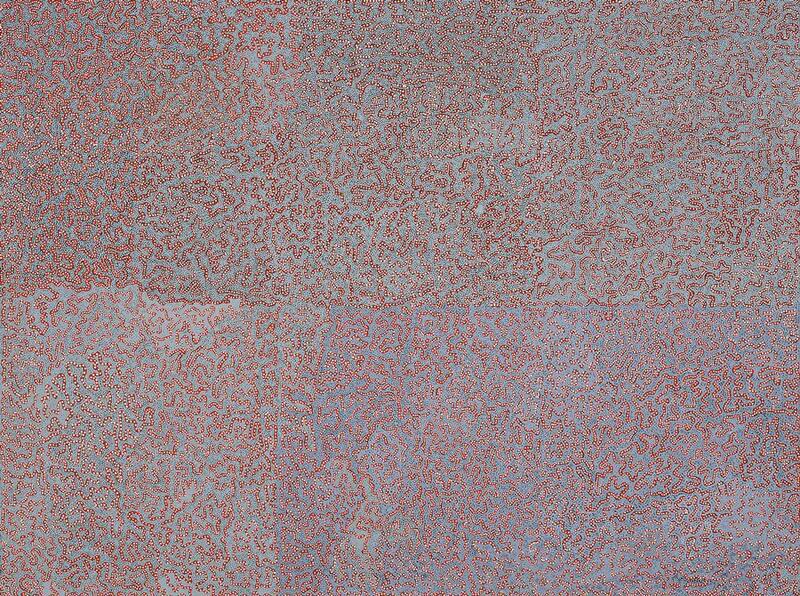 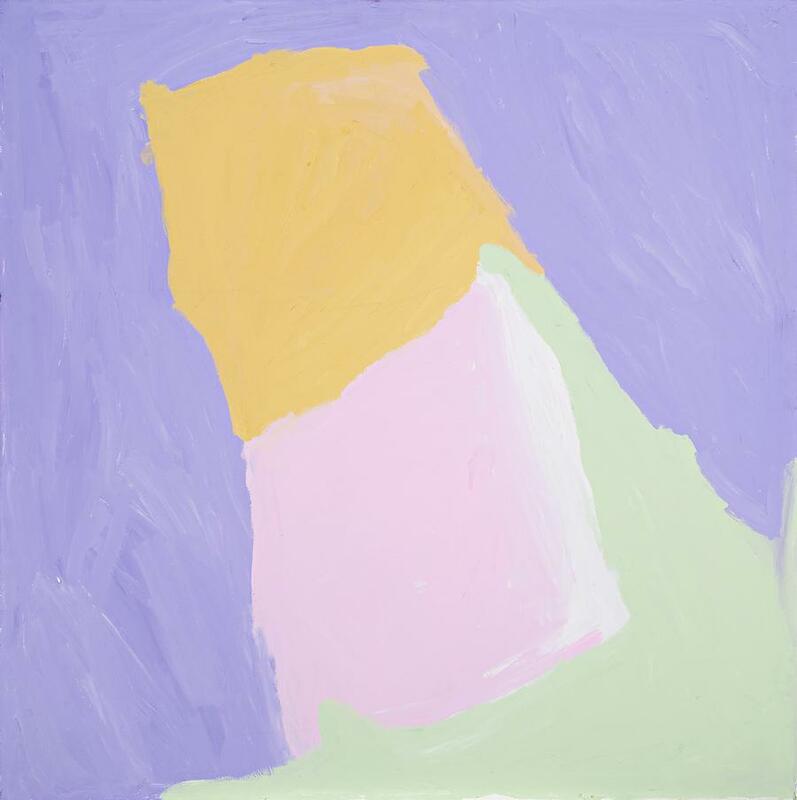 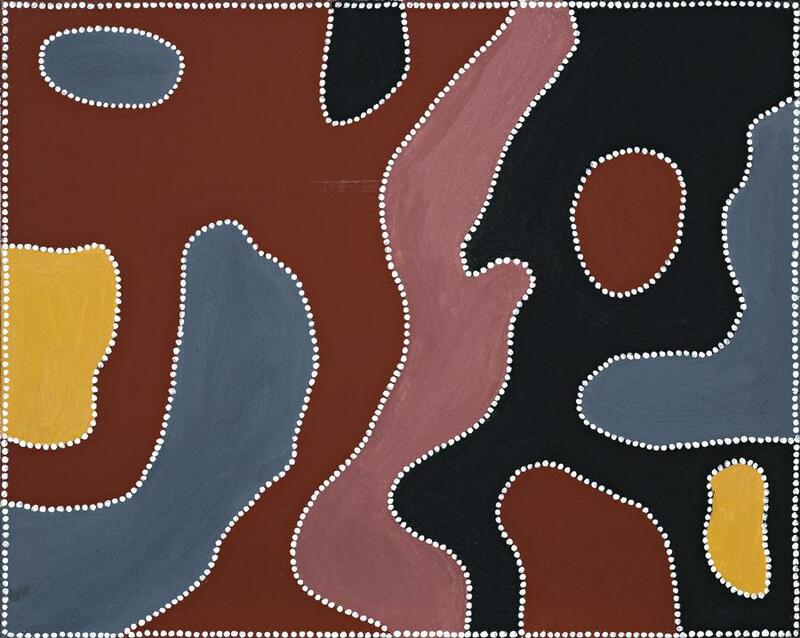 signed lower right: ALBERT MAMATJIRA inscribed verso: ‘Purchased at the first exhibition of Albert Namatjira’s water colours held at the Fine Arts Society Galleries, Melbourne December 1938, J.W. 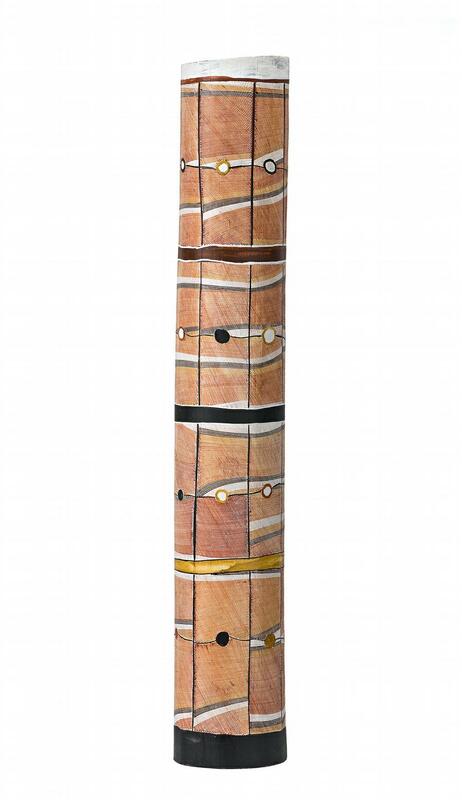 Collings’. 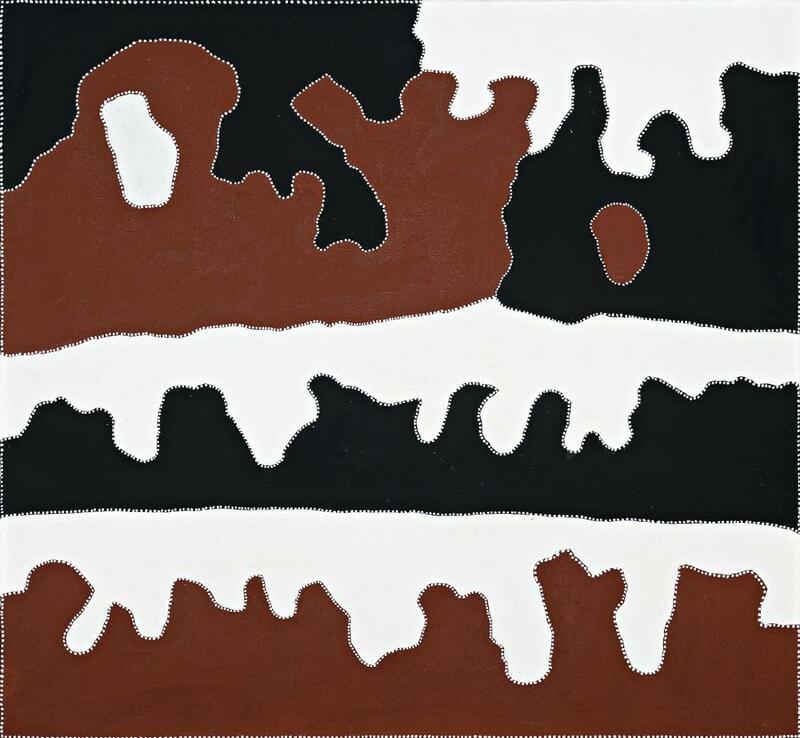 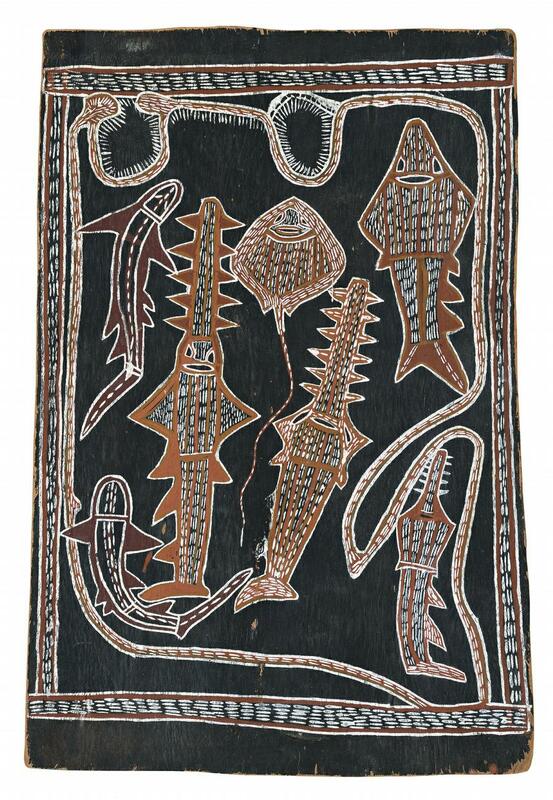 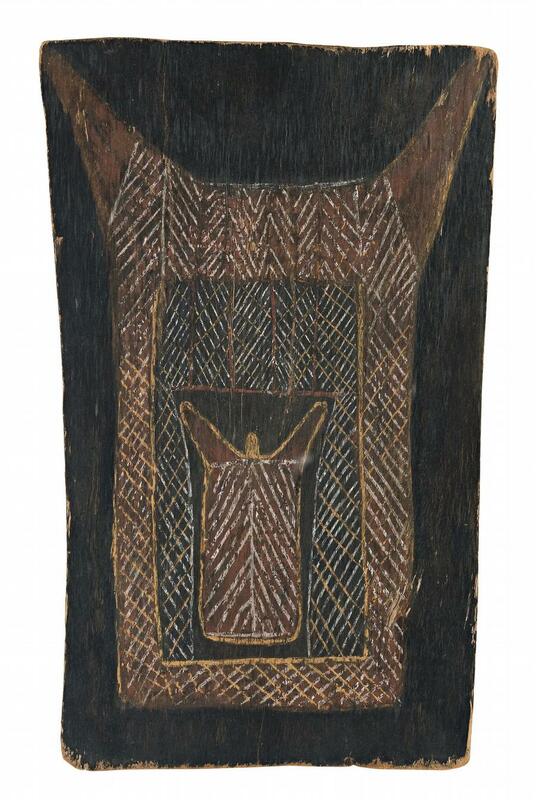 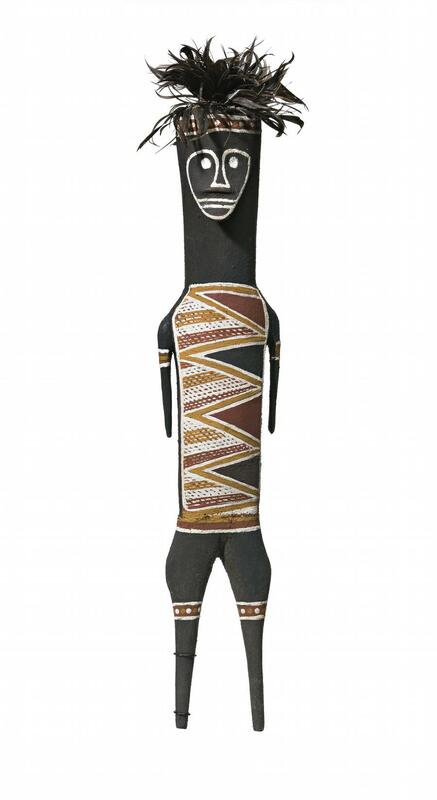 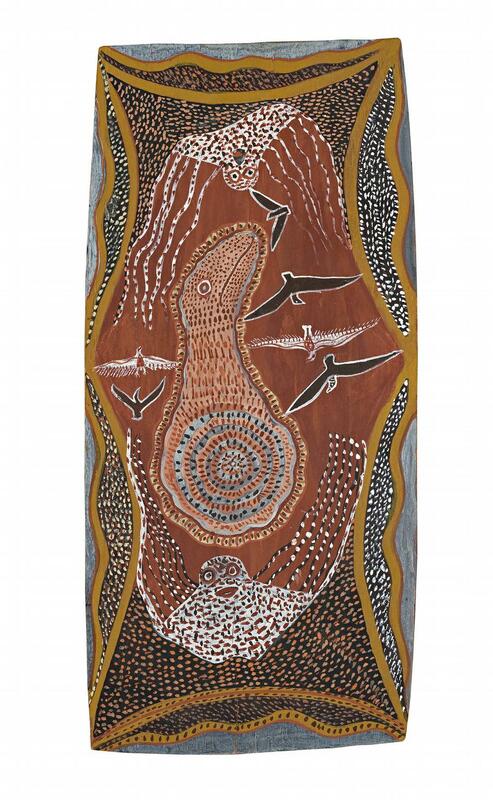 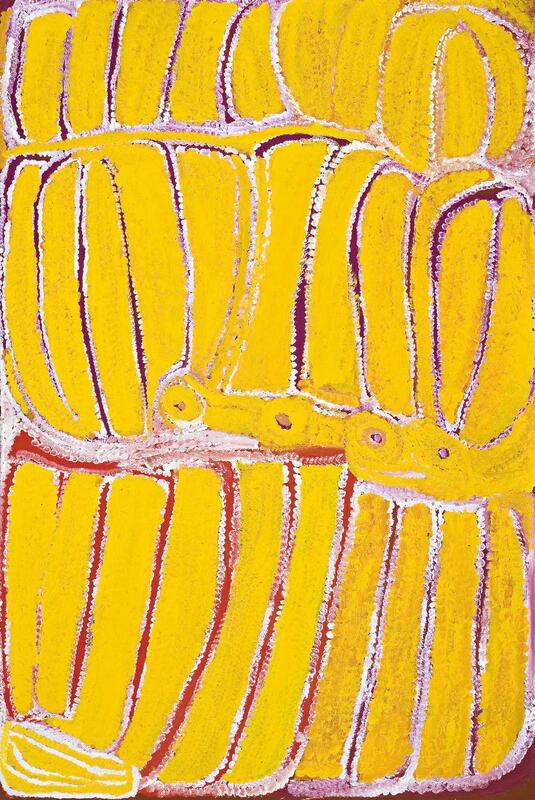 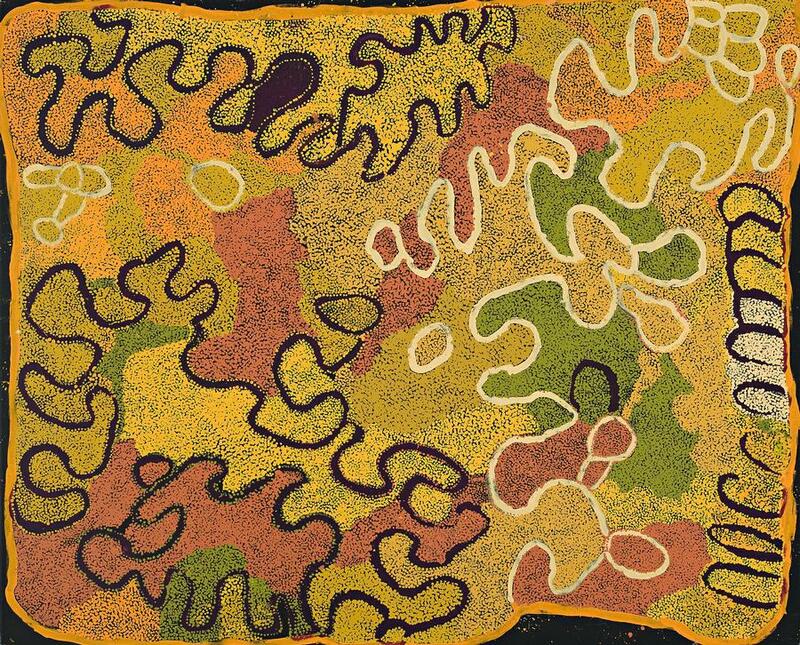 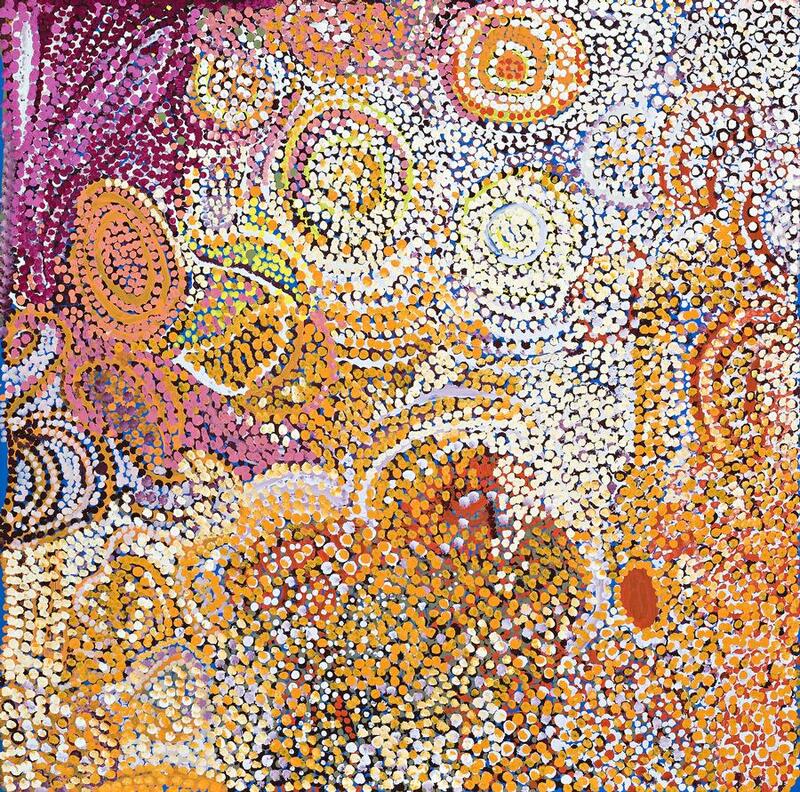 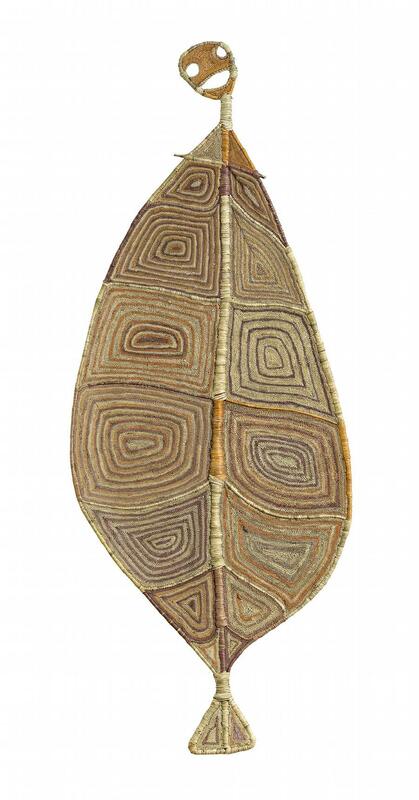 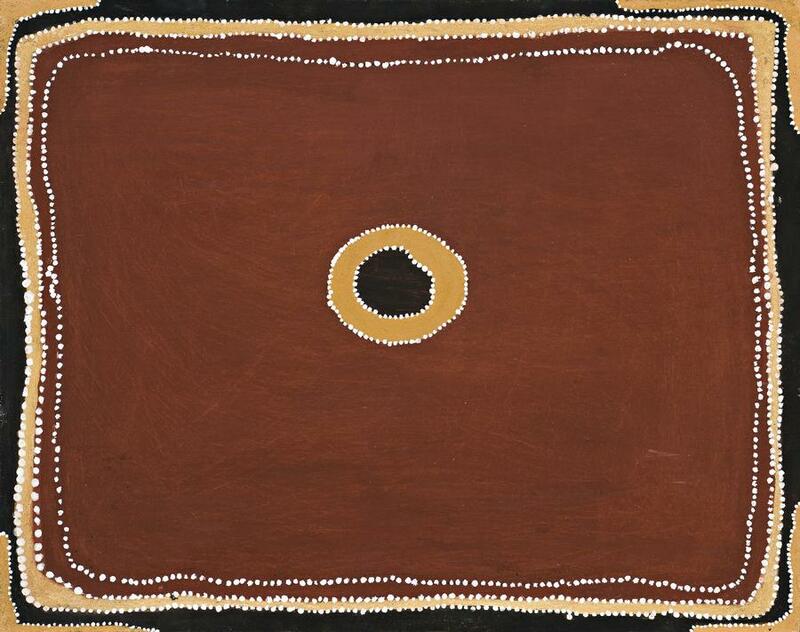 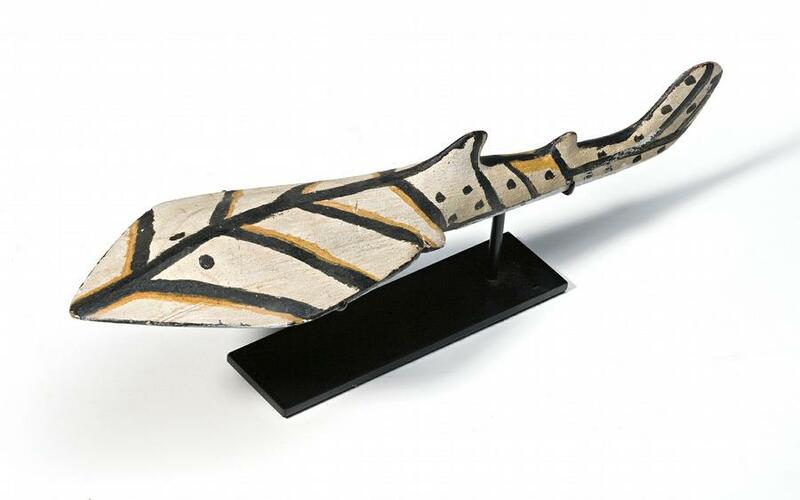 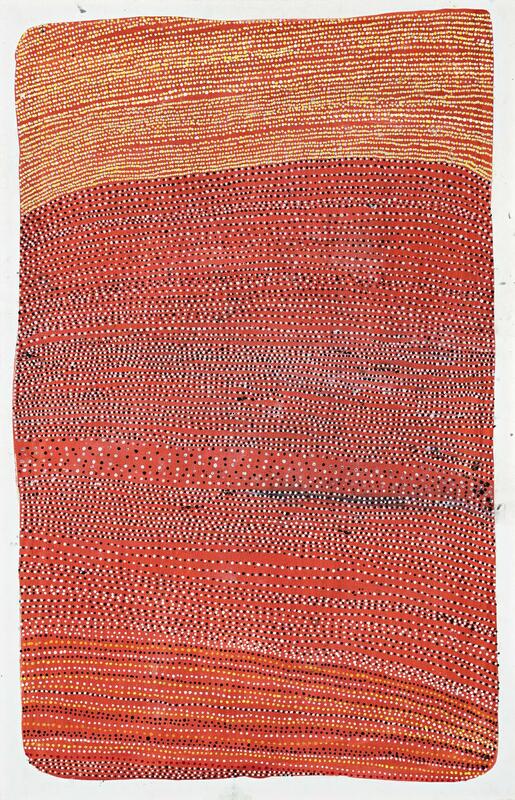 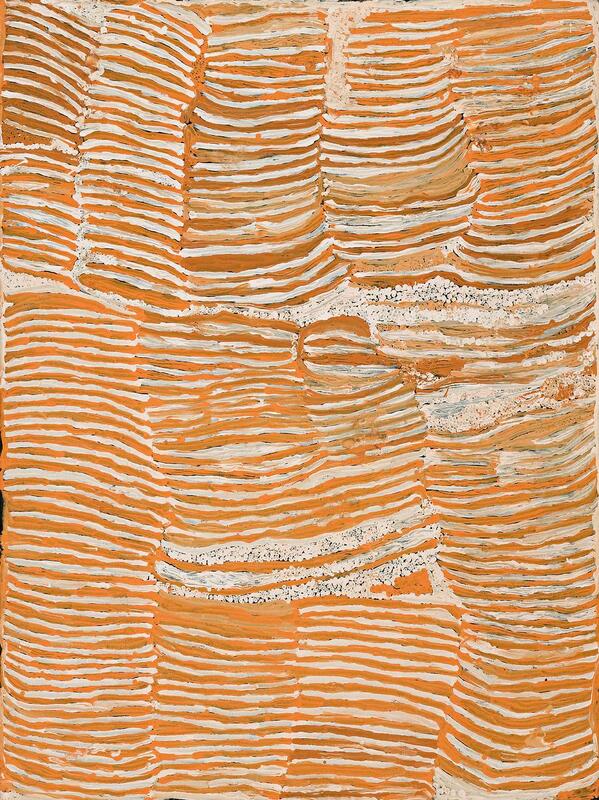 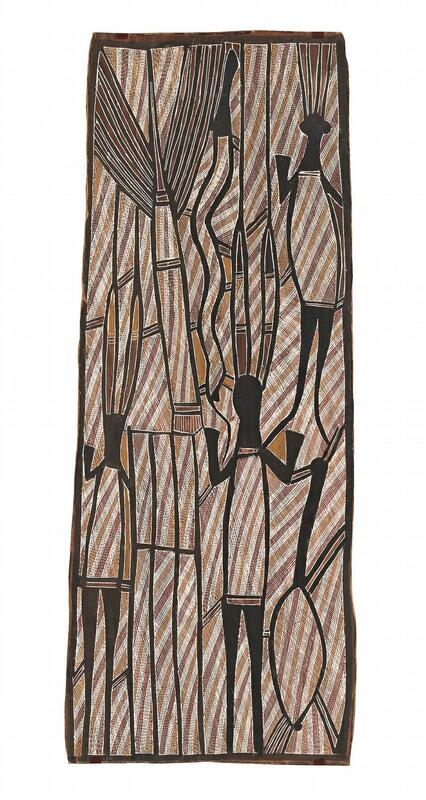 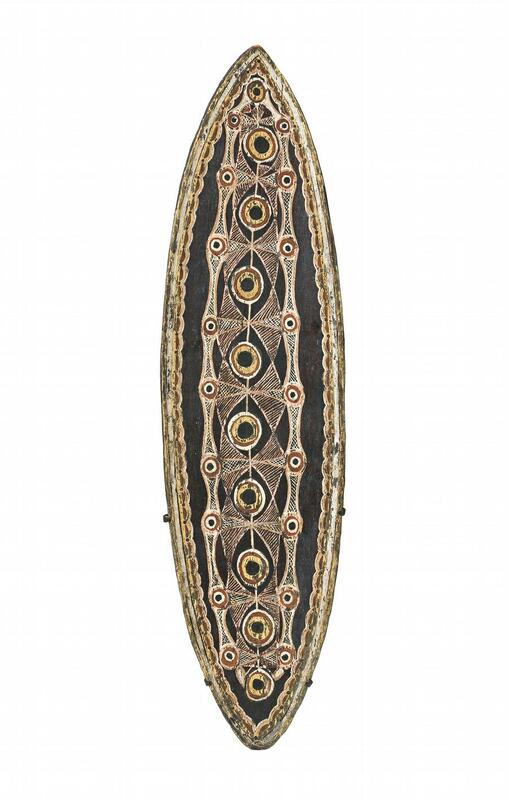 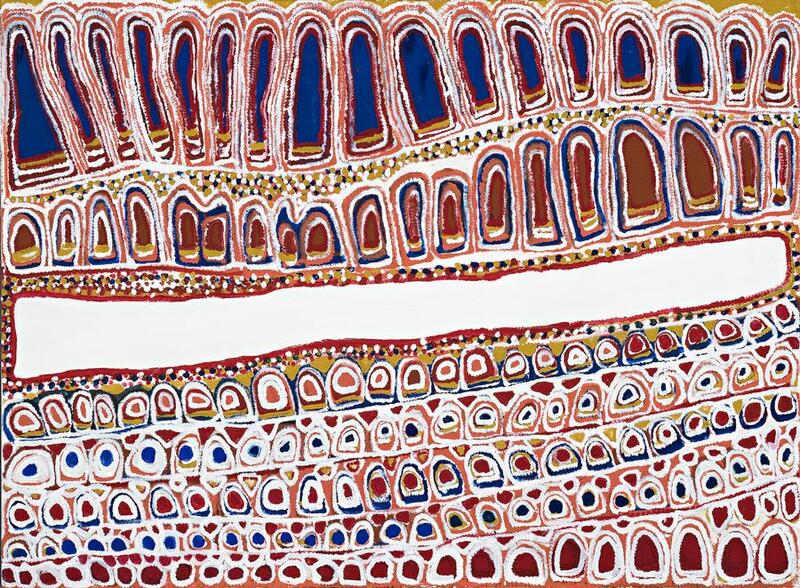 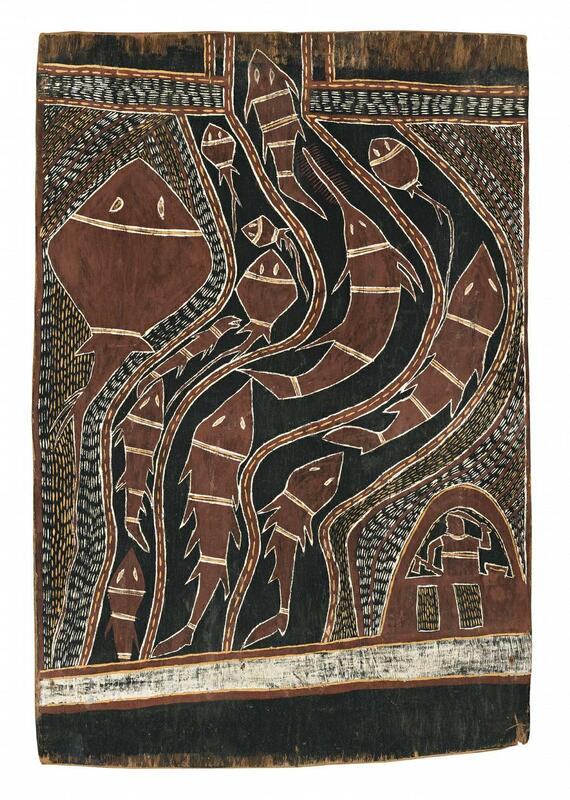 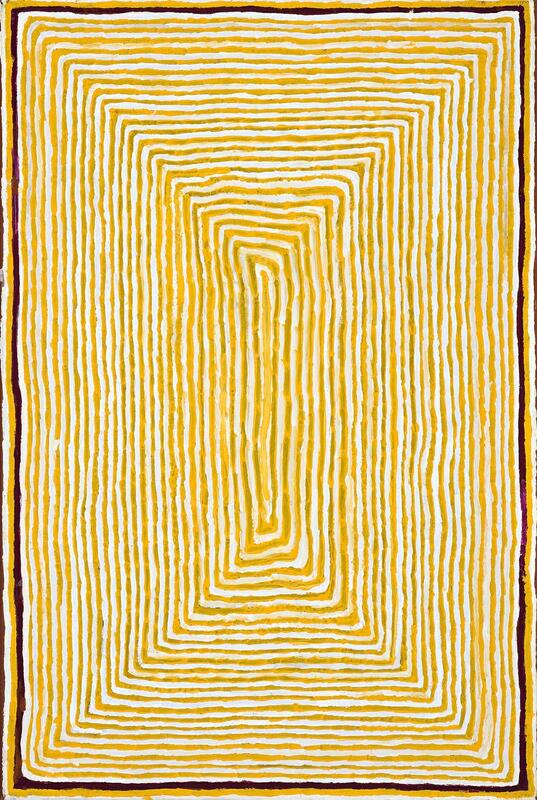 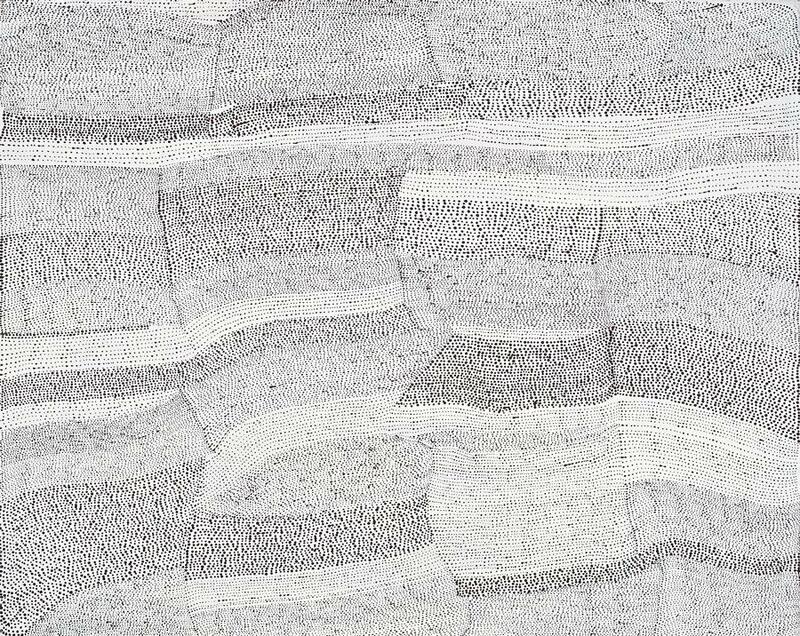 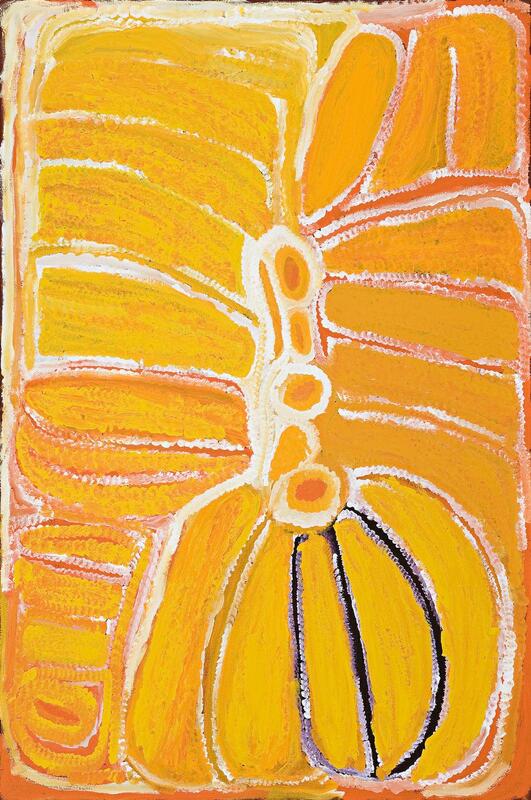 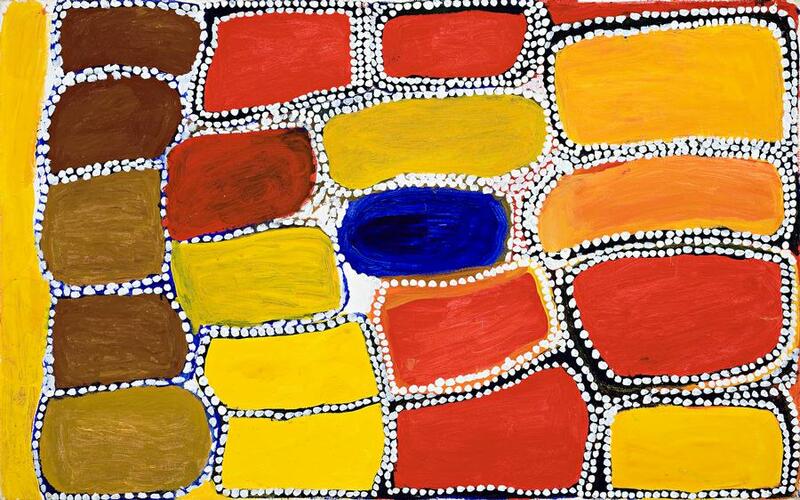 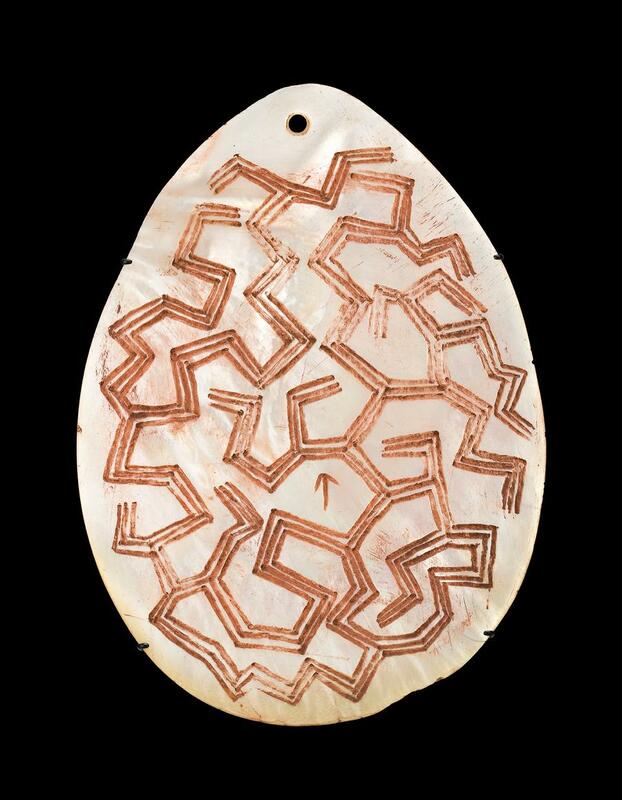 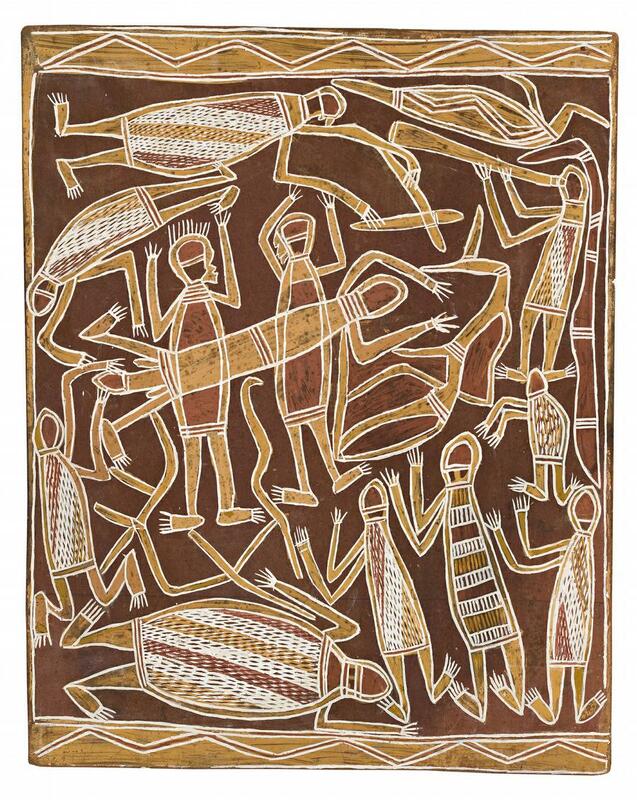 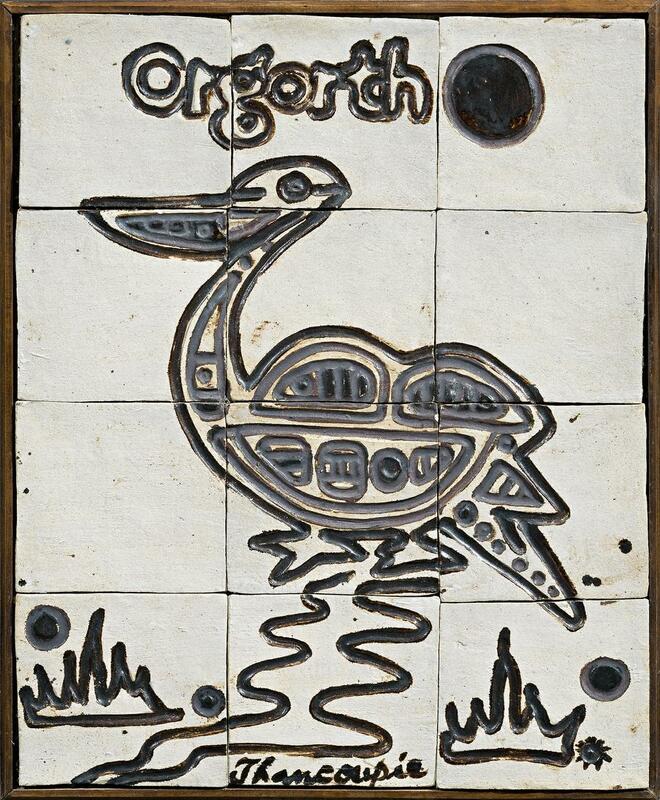 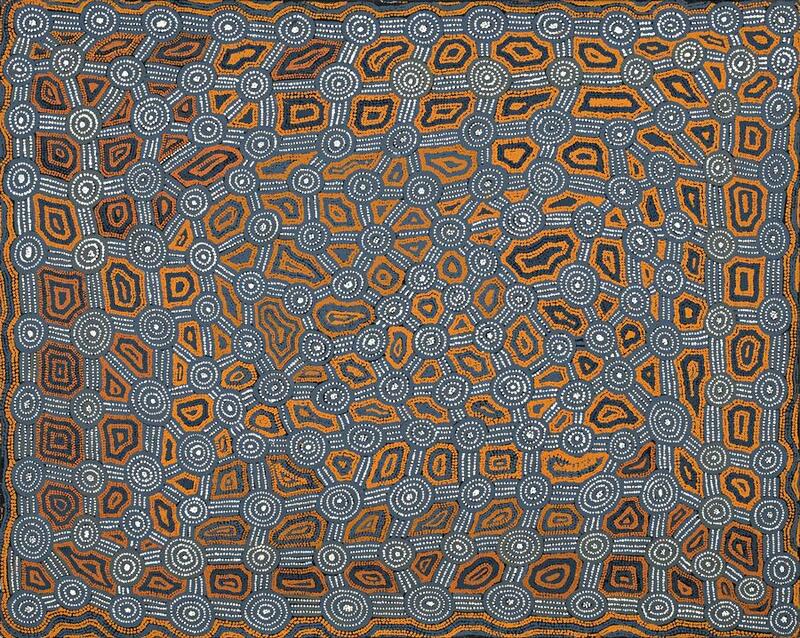 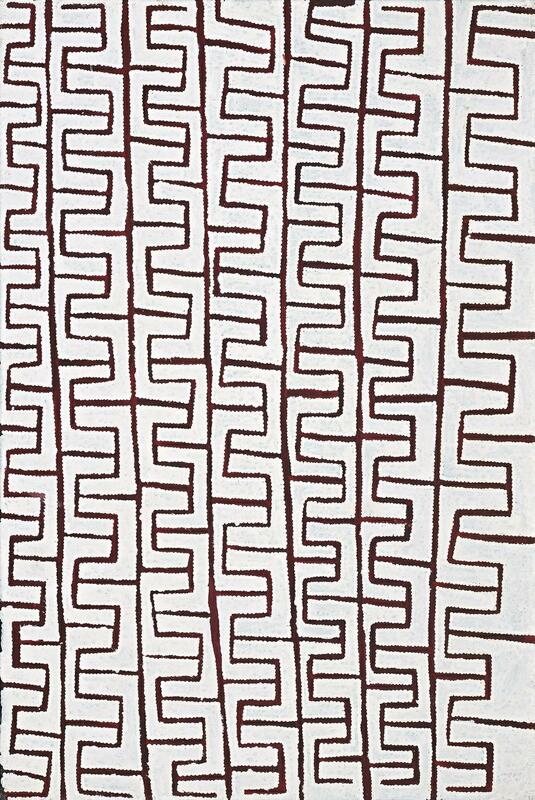 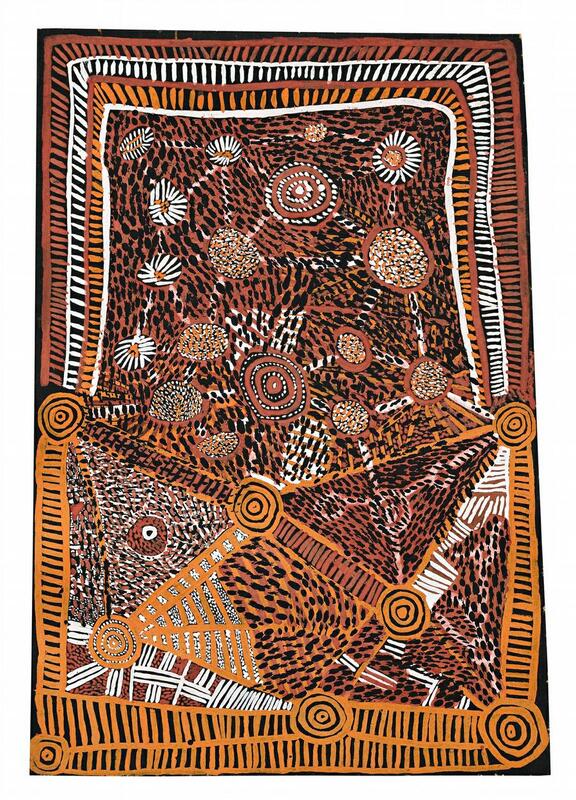 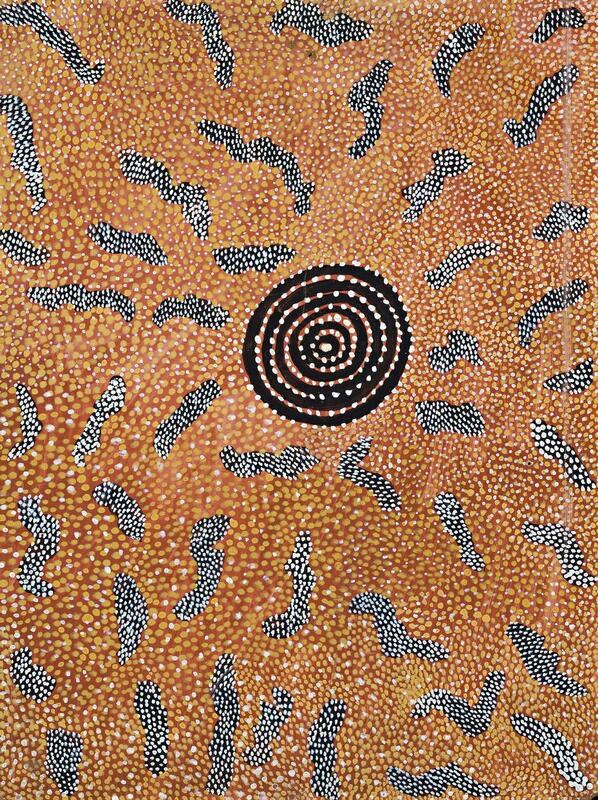 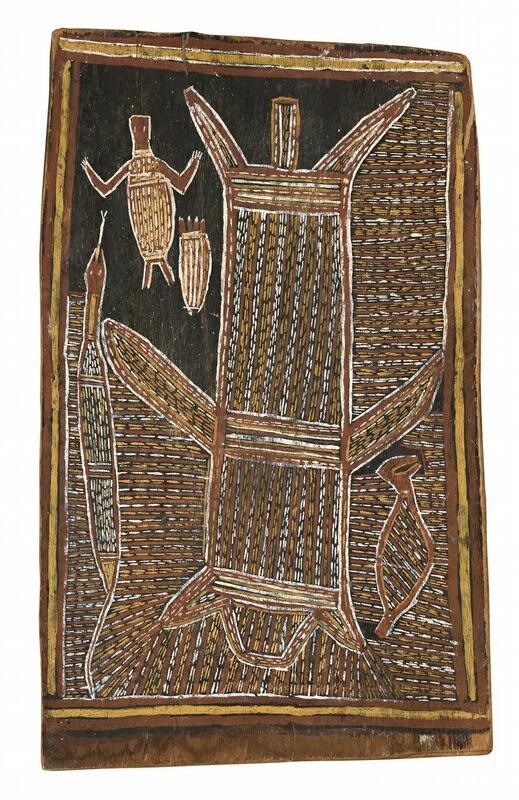 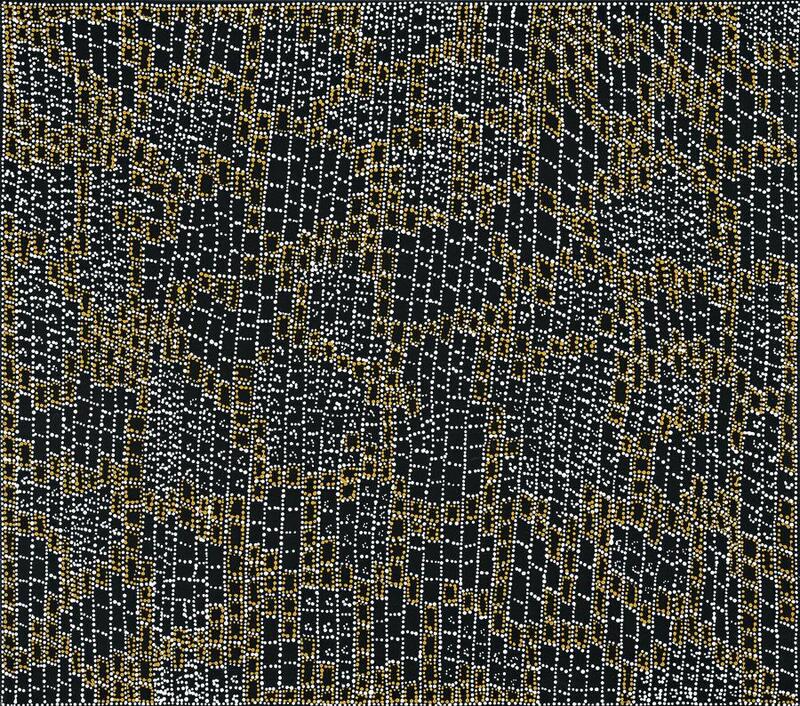 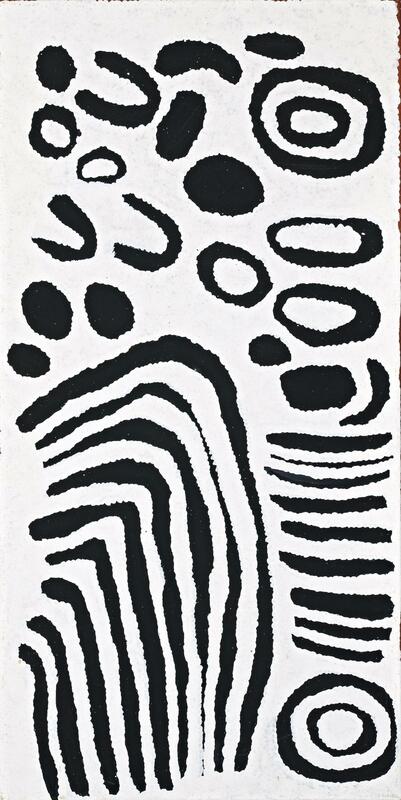 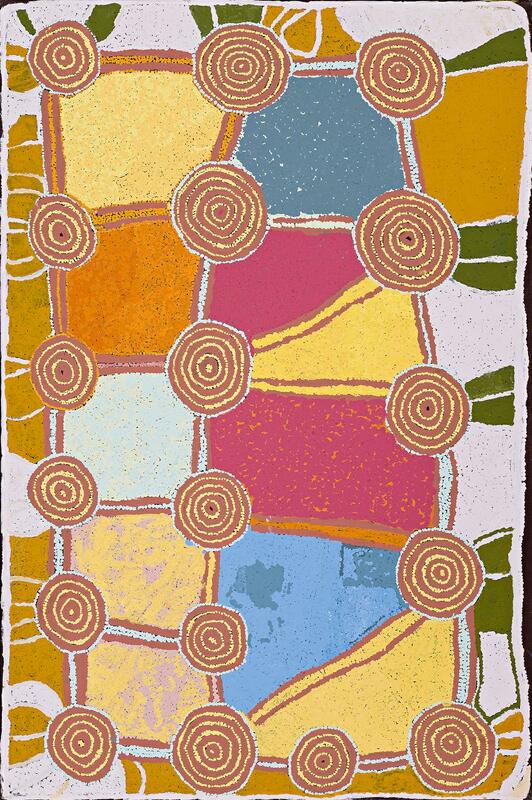 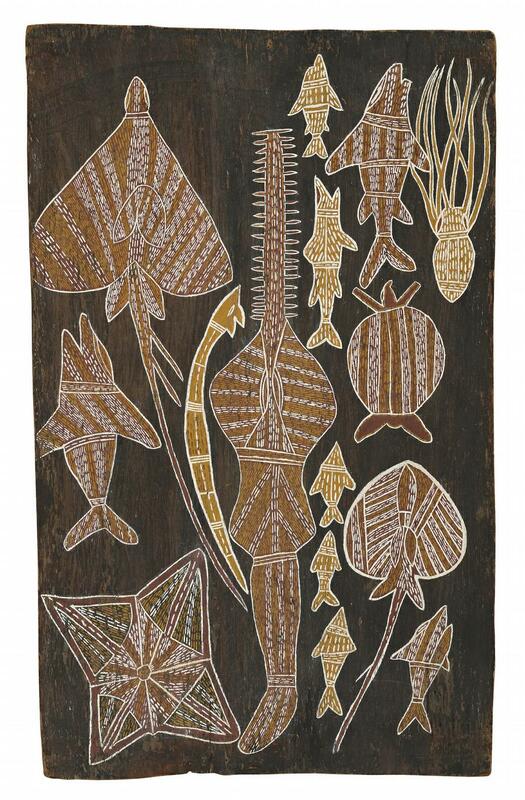 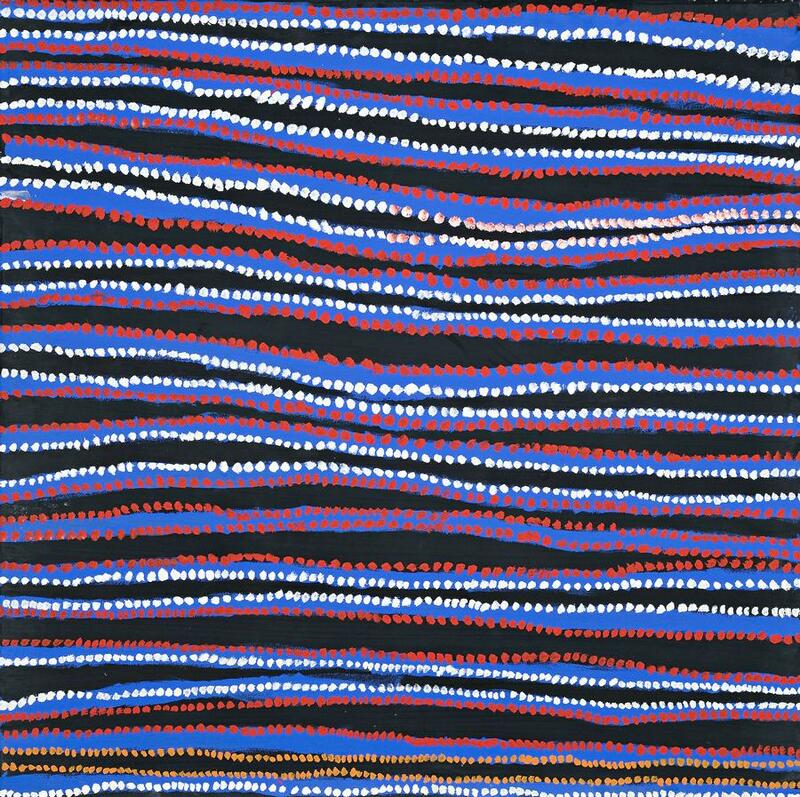 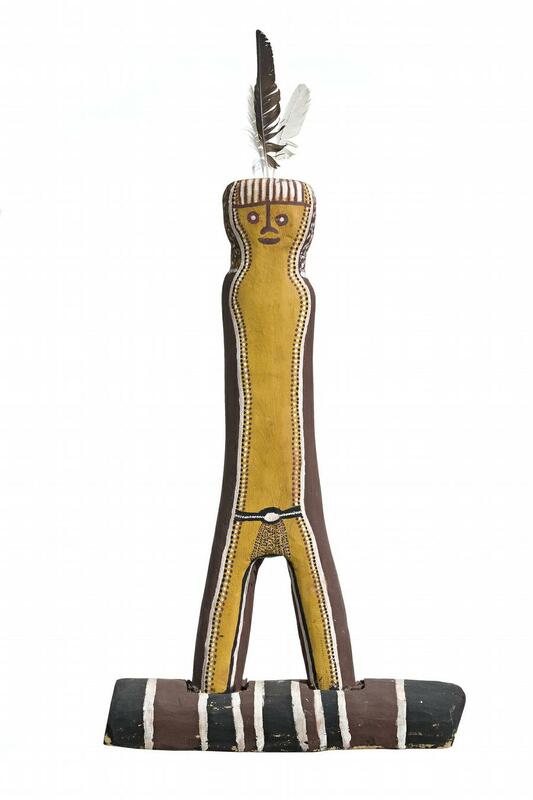 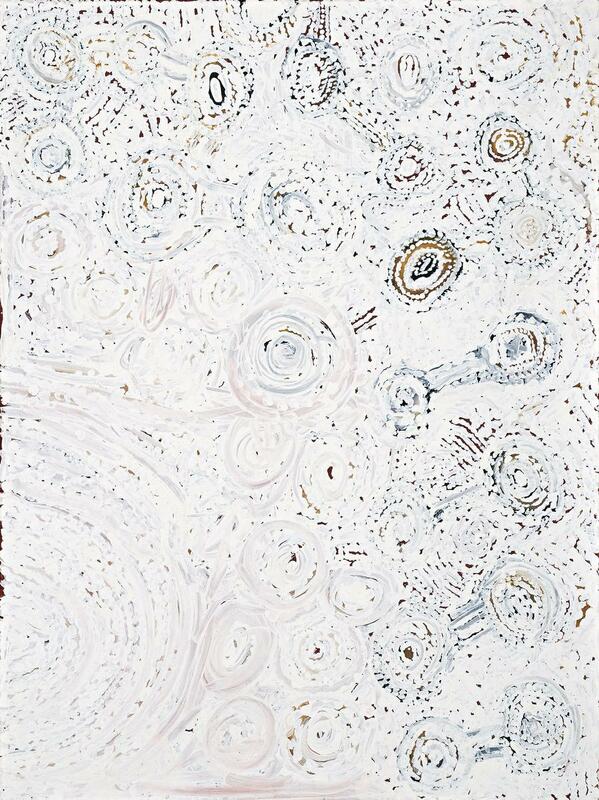 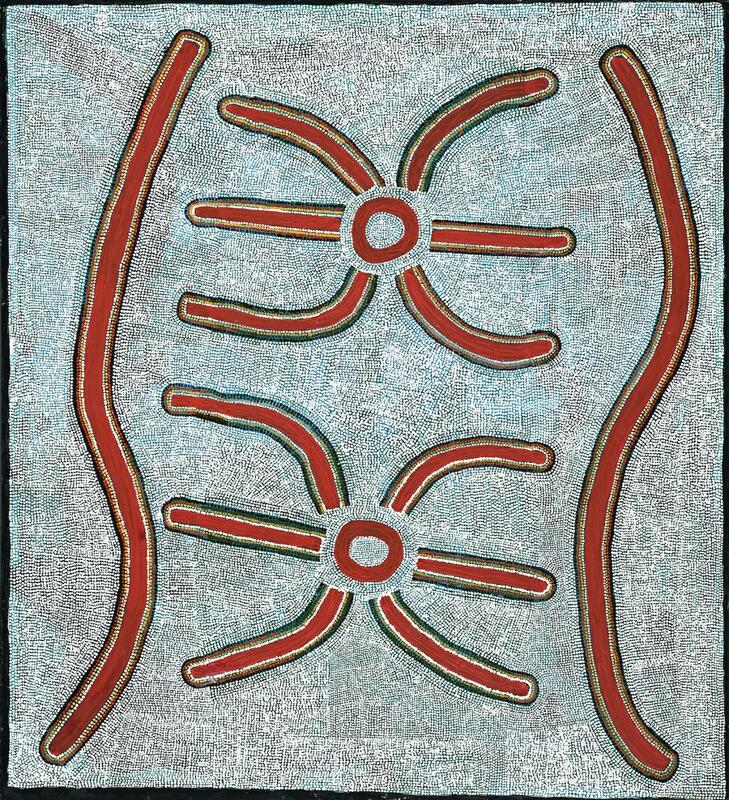 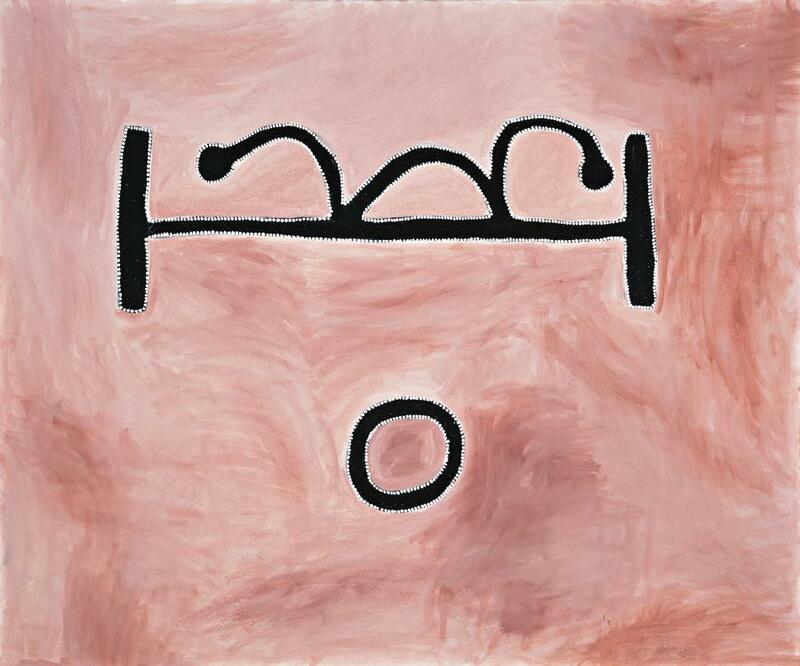 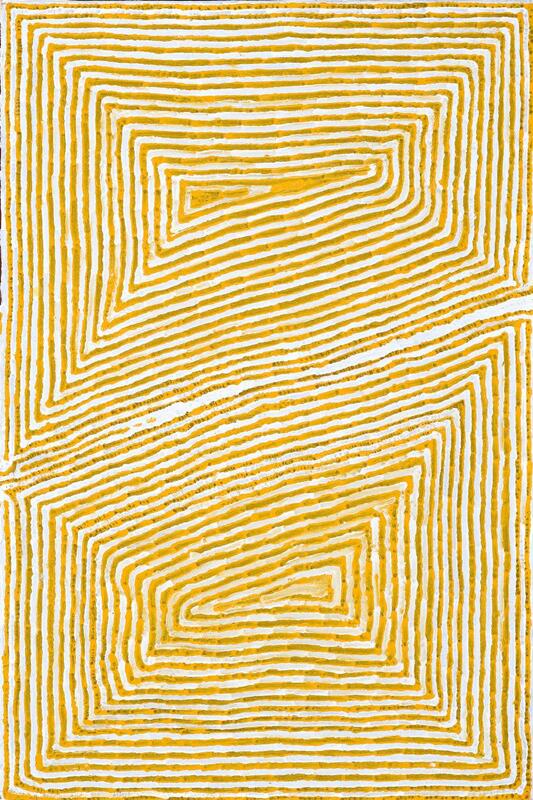 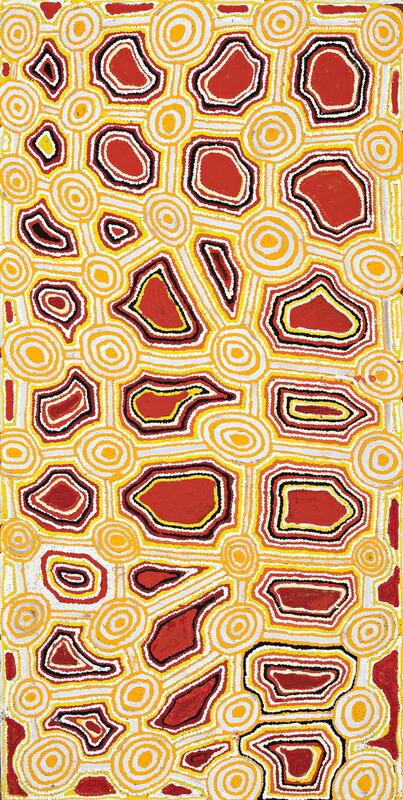 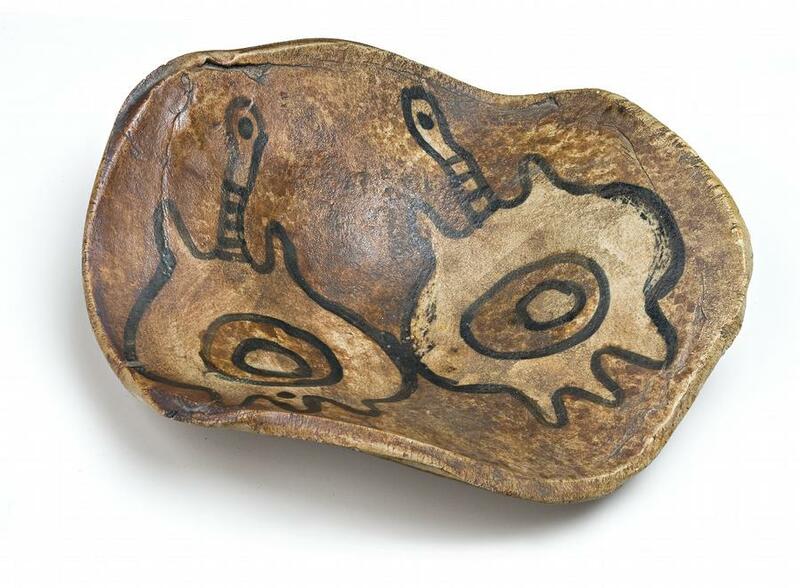 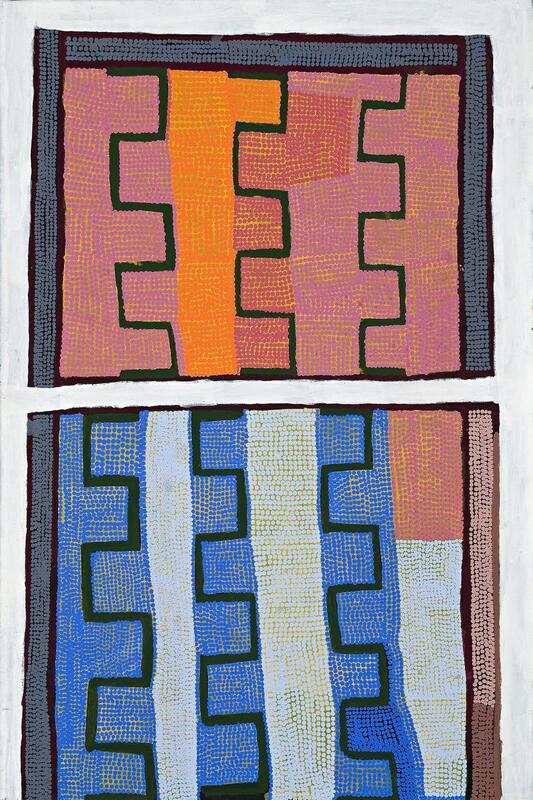 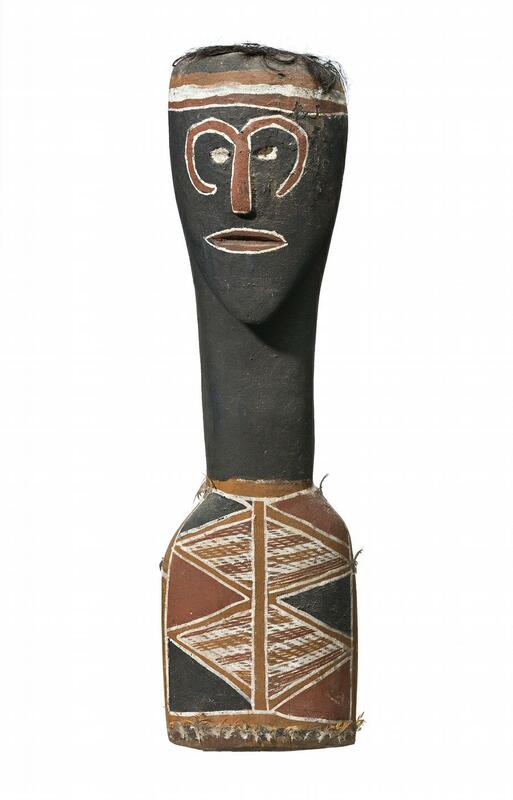 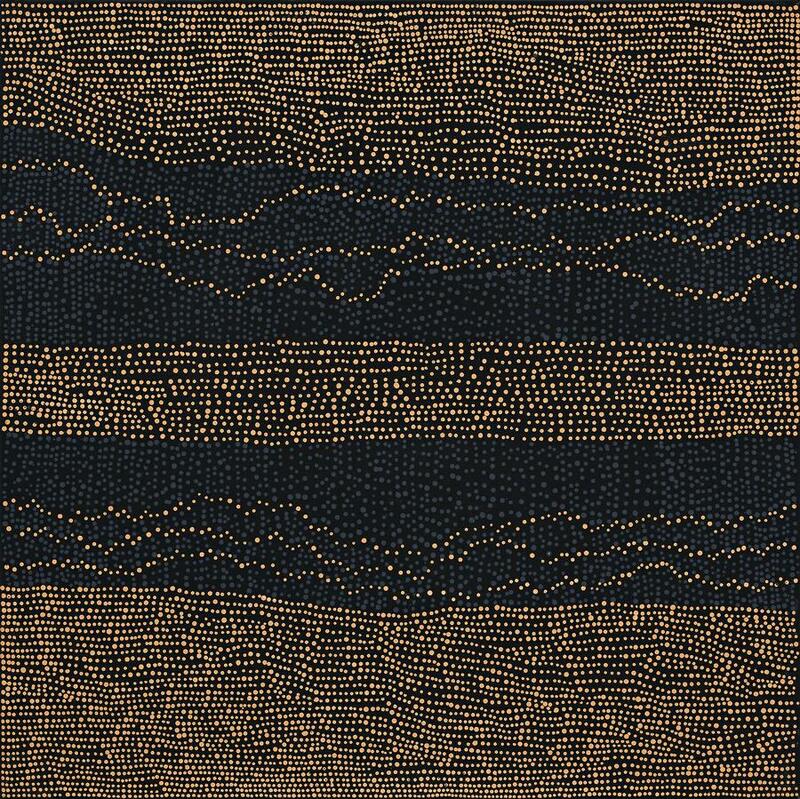 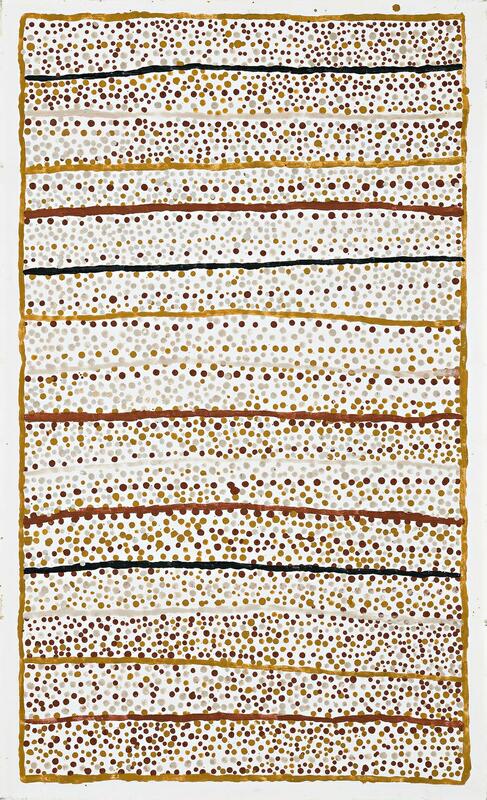 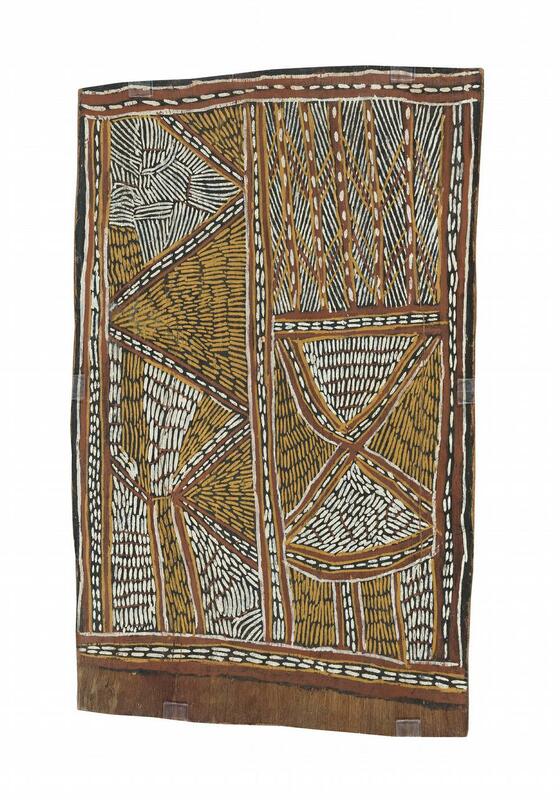 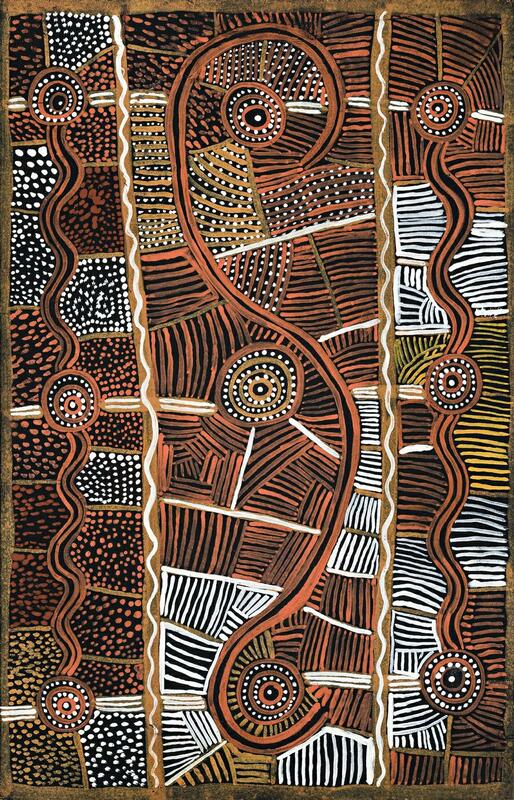 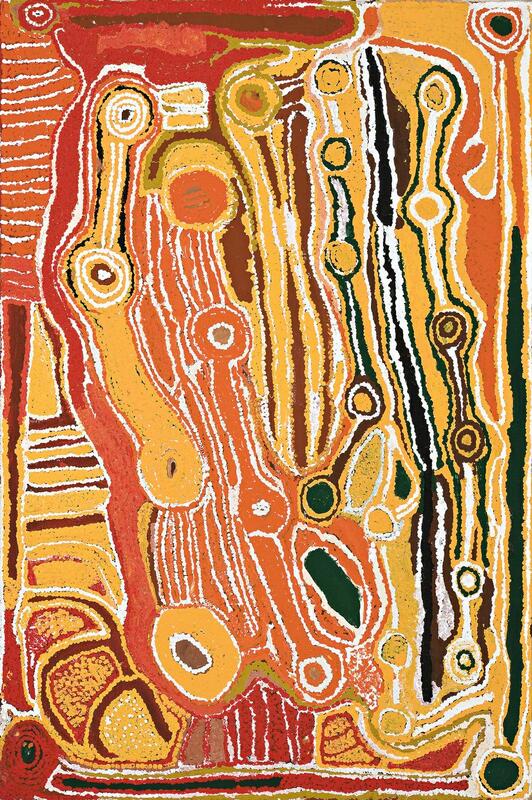 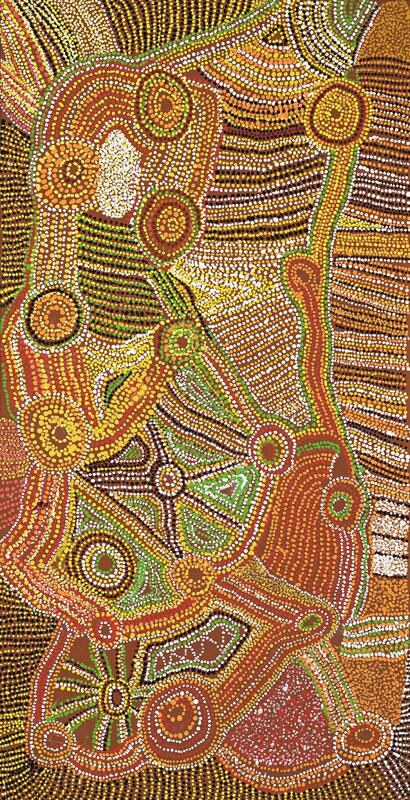 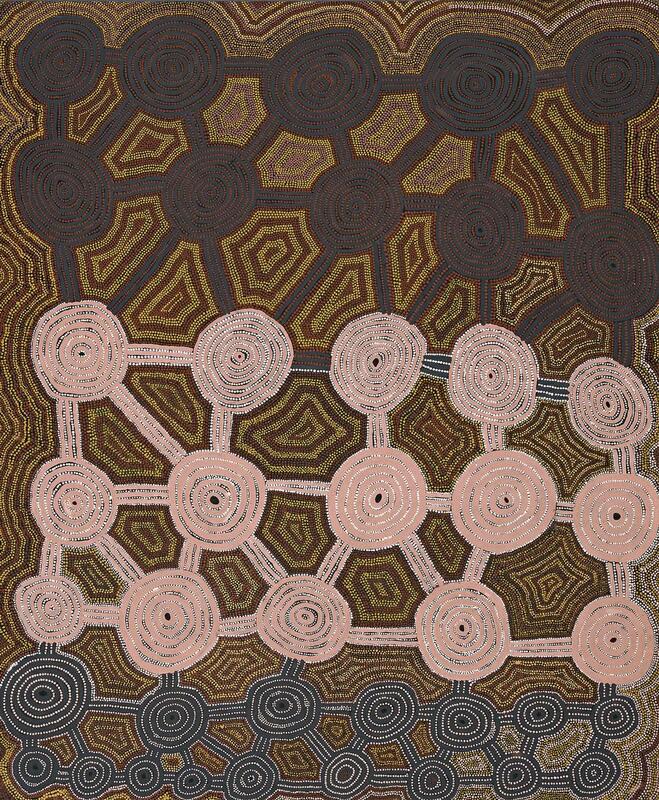 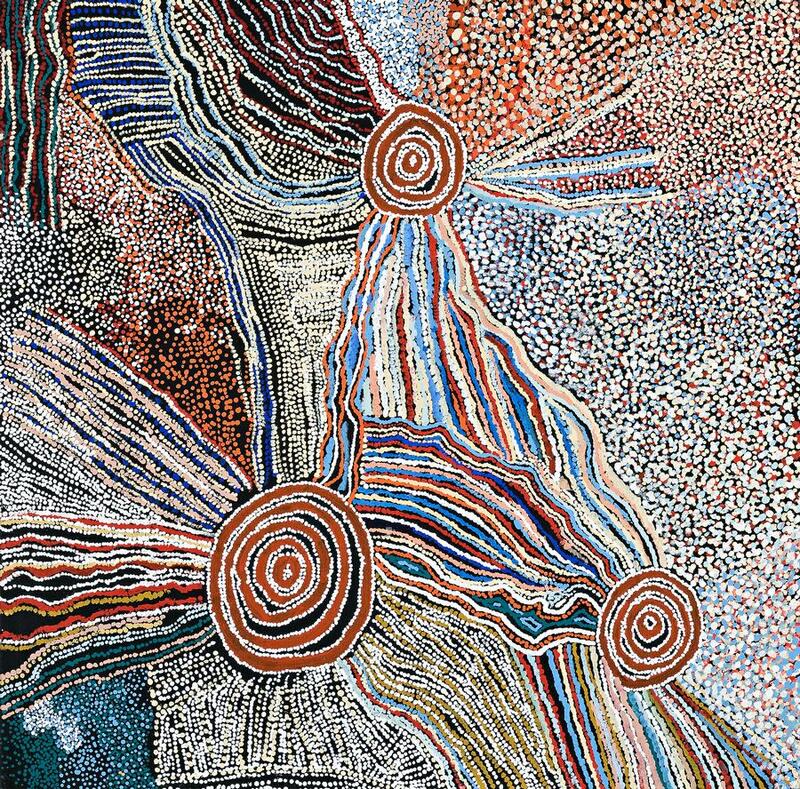 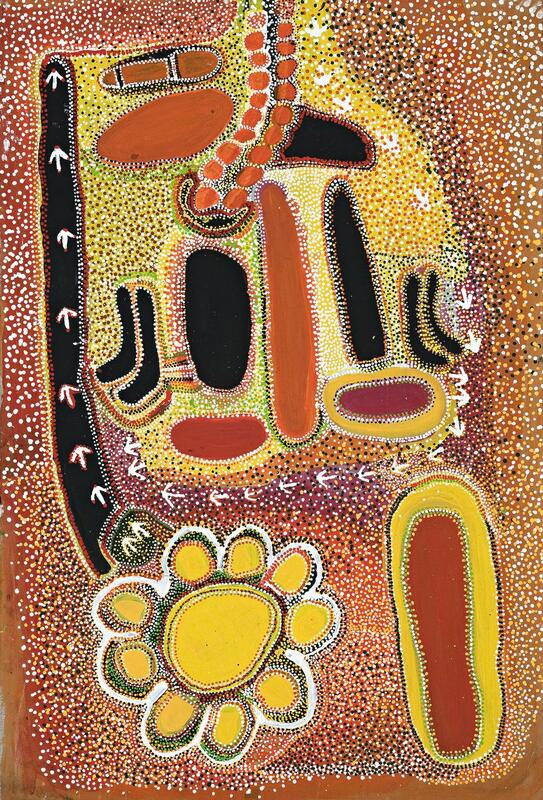 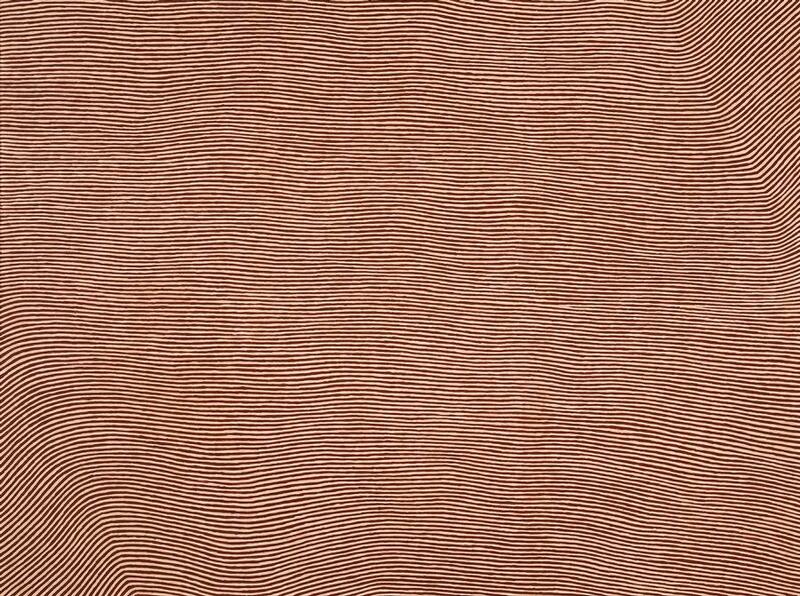 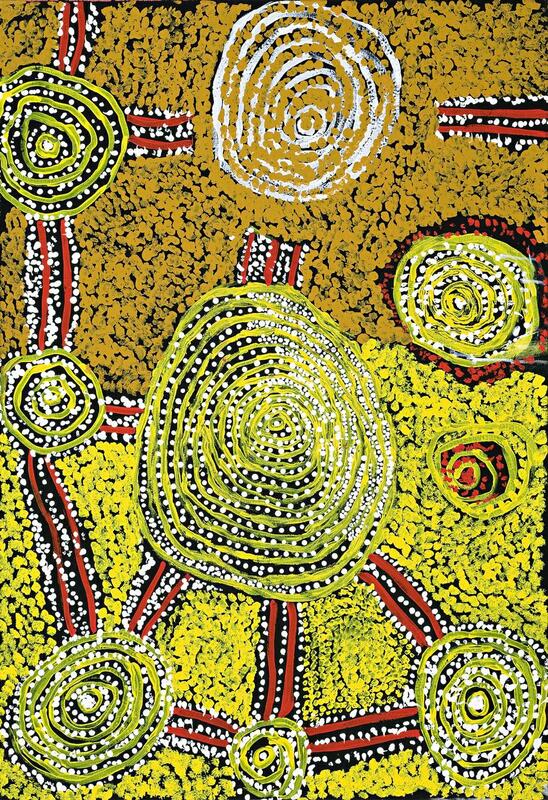 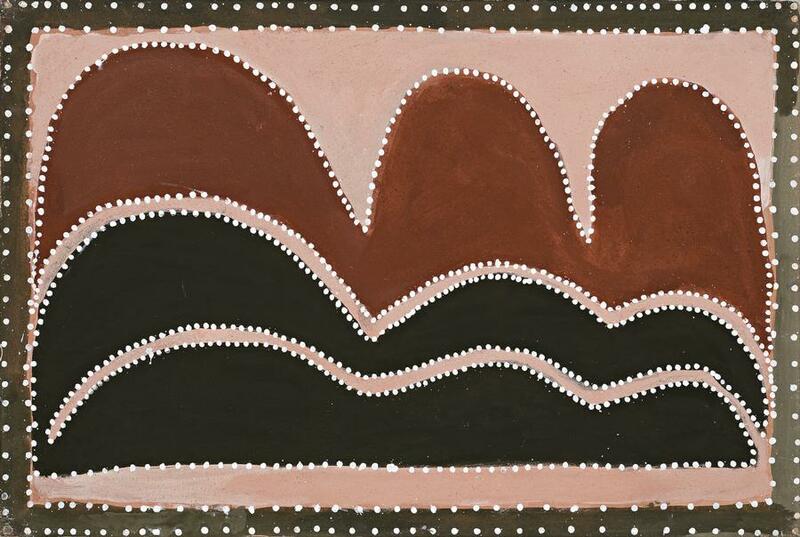 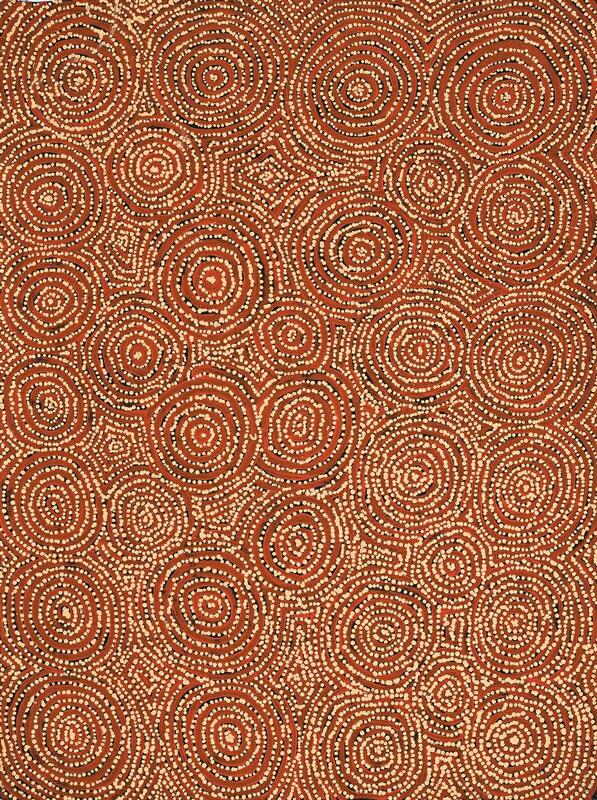 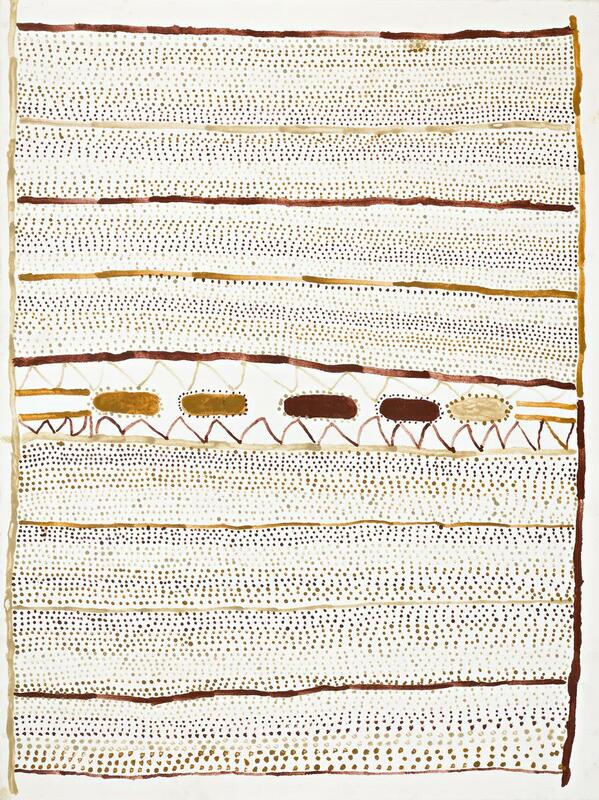 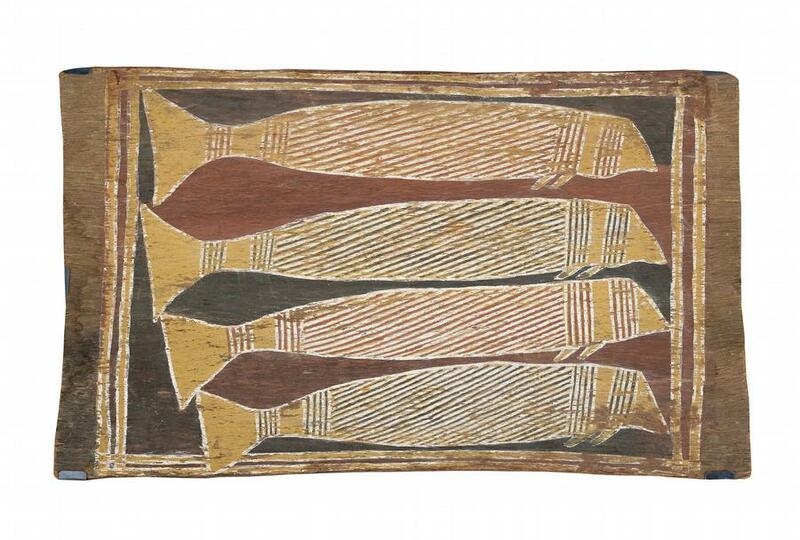 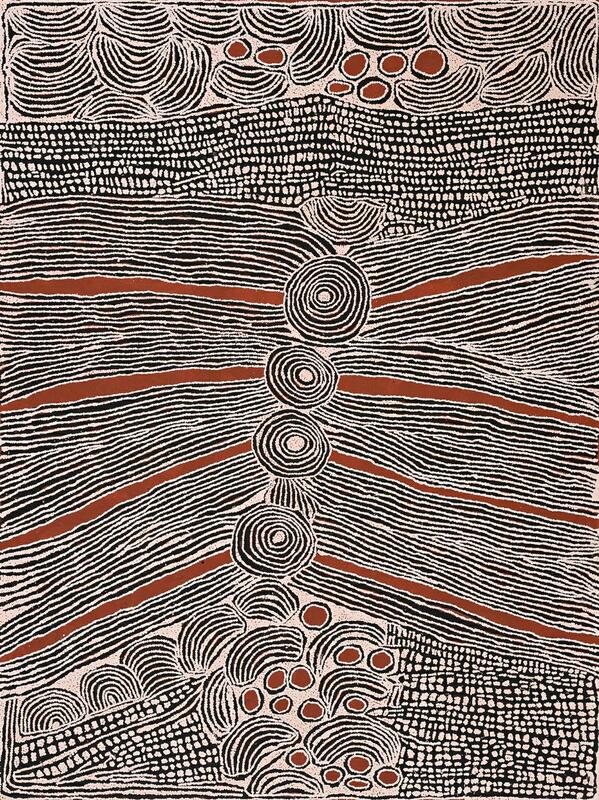 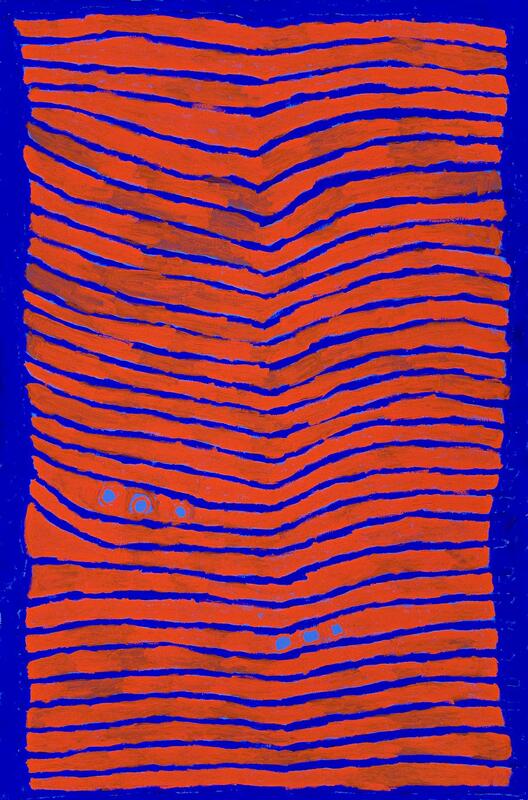 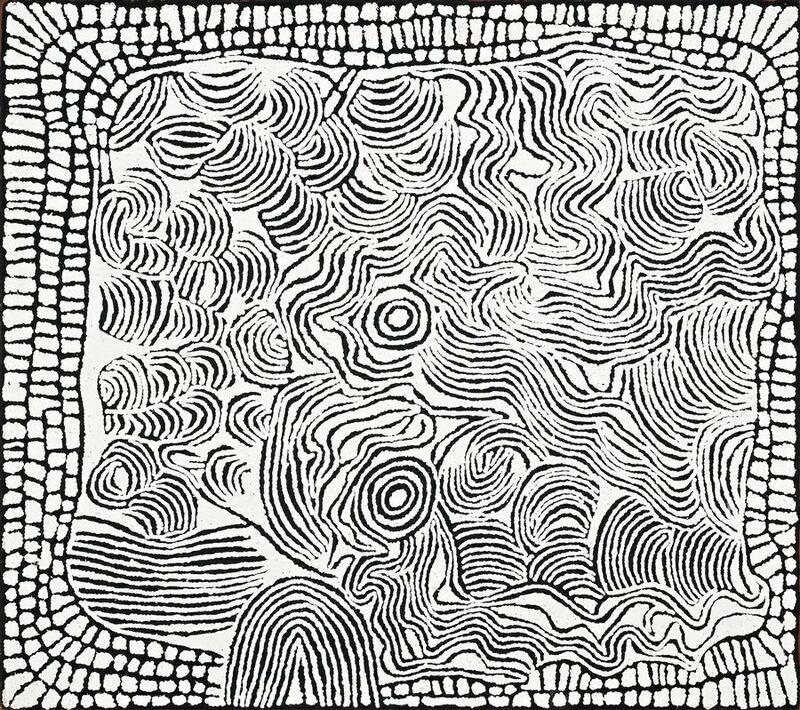 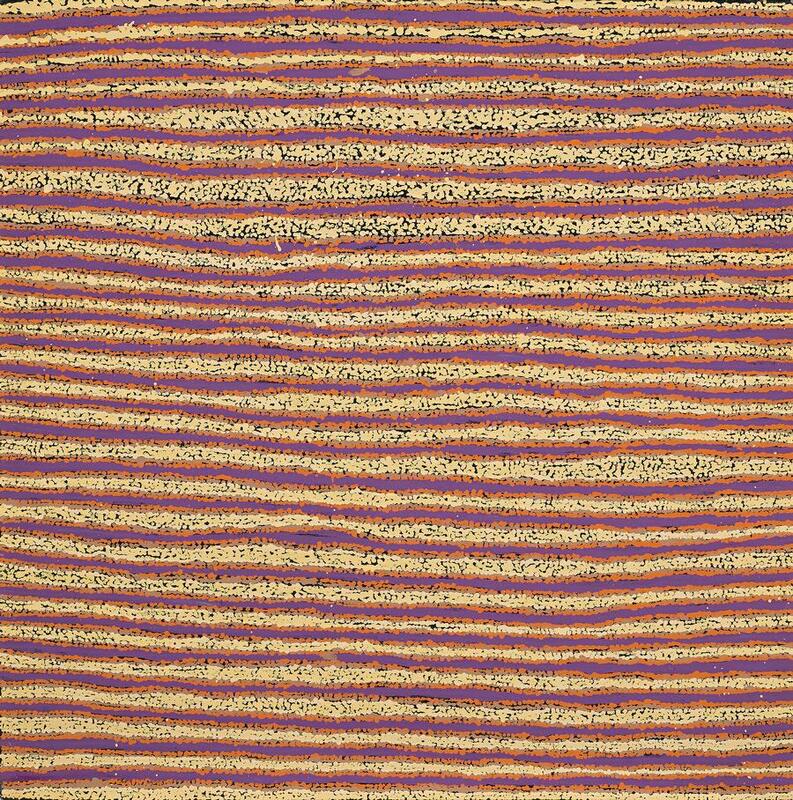 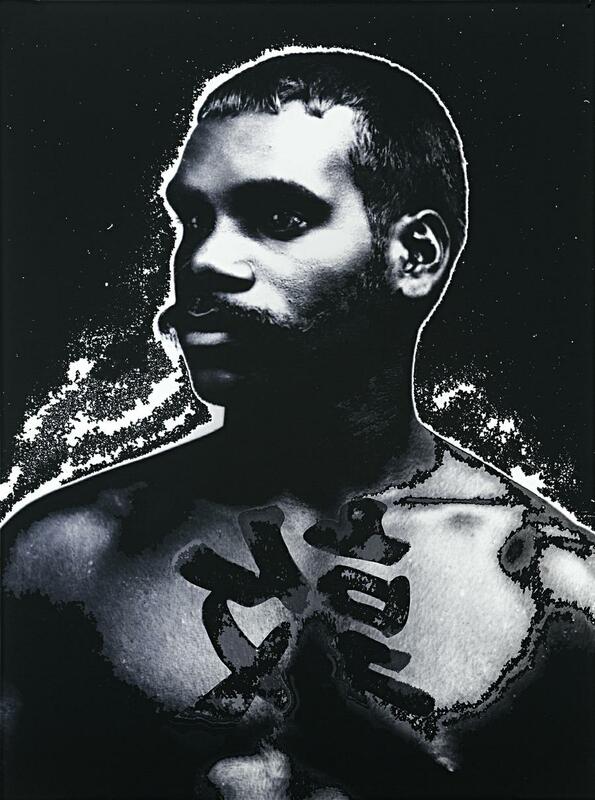 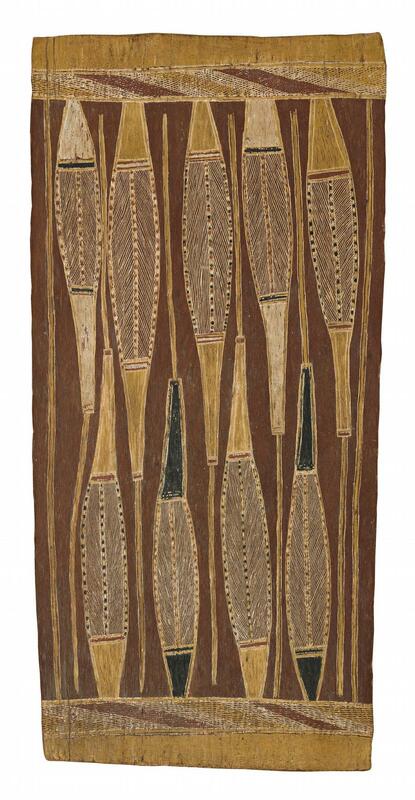 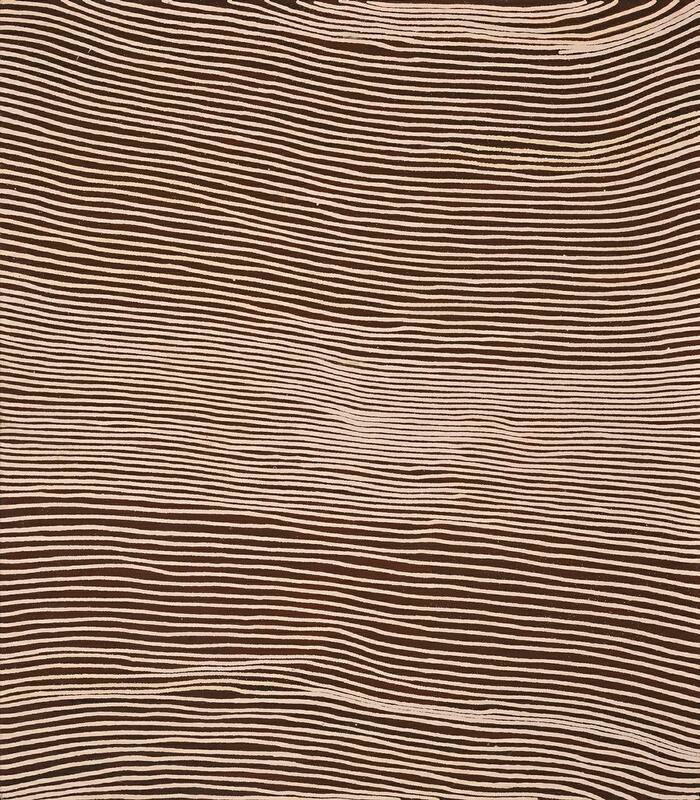 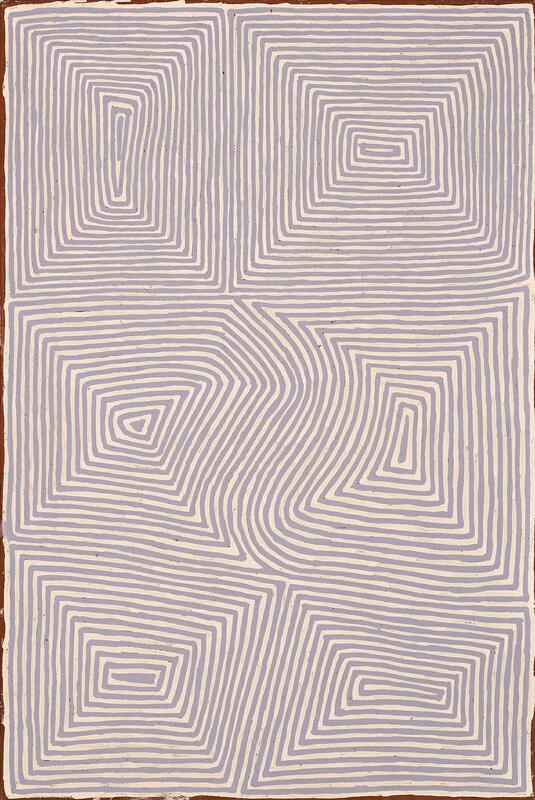 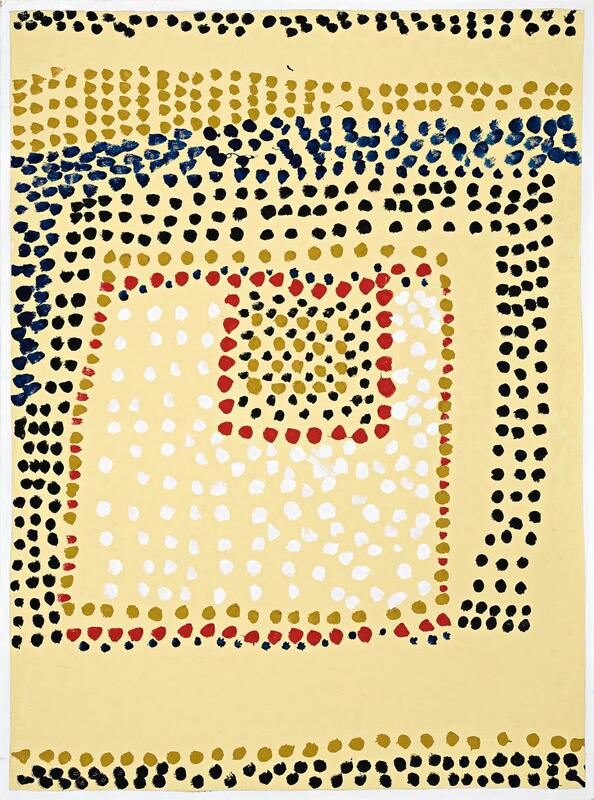 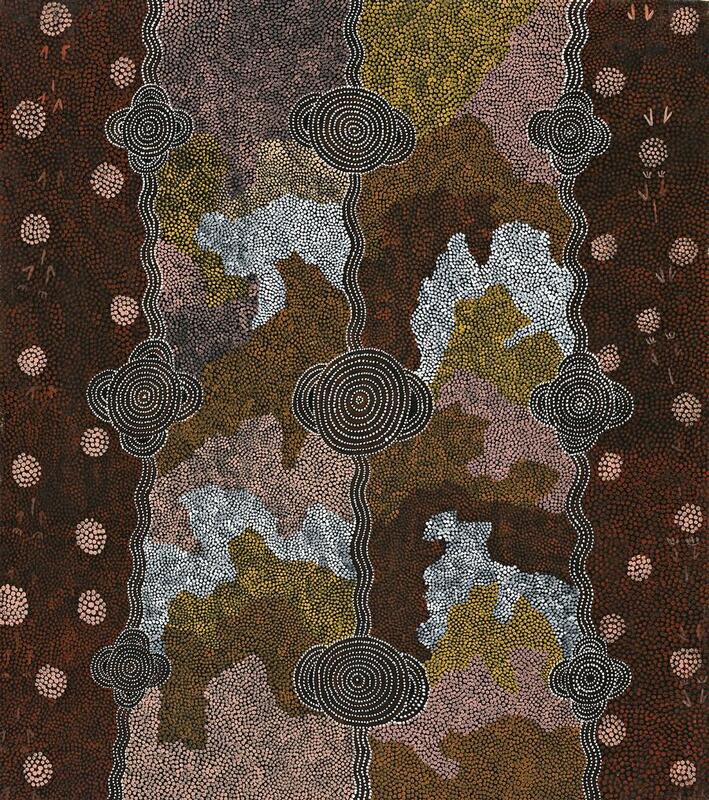 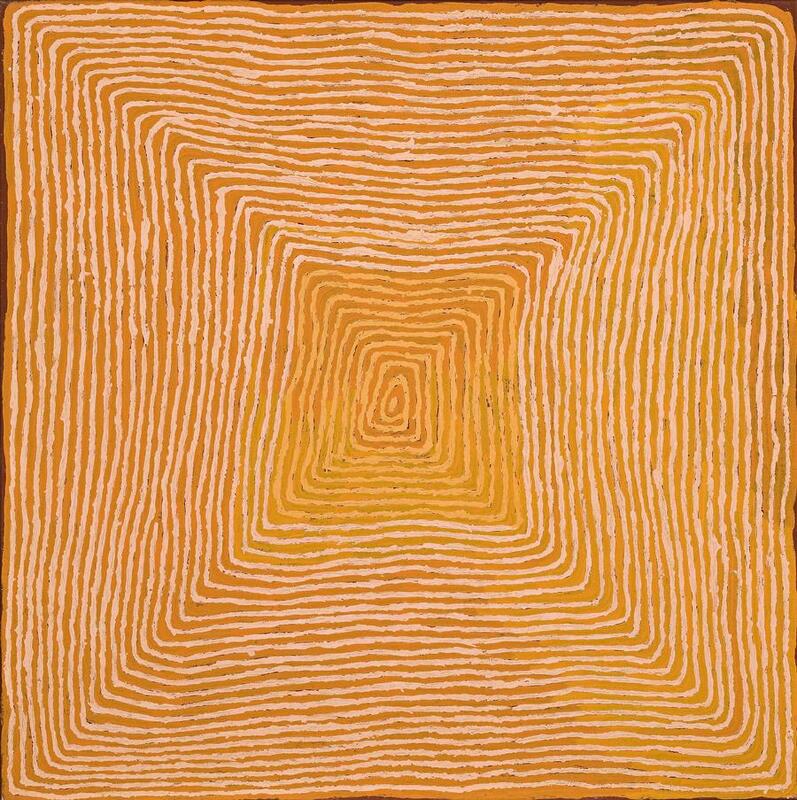 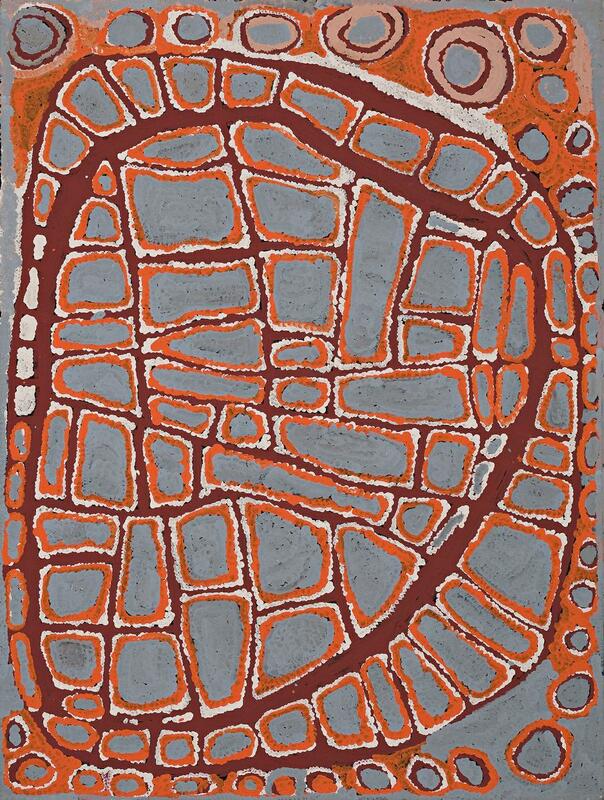 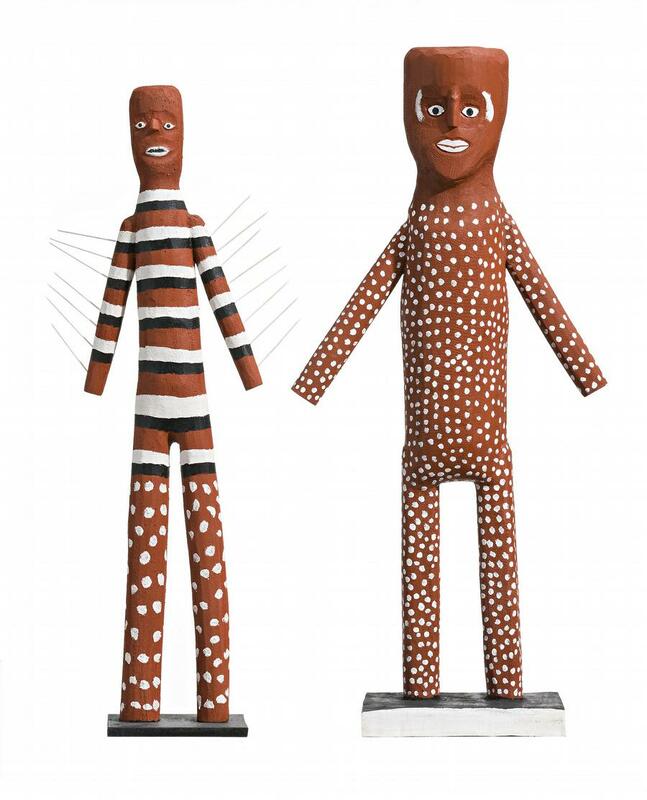 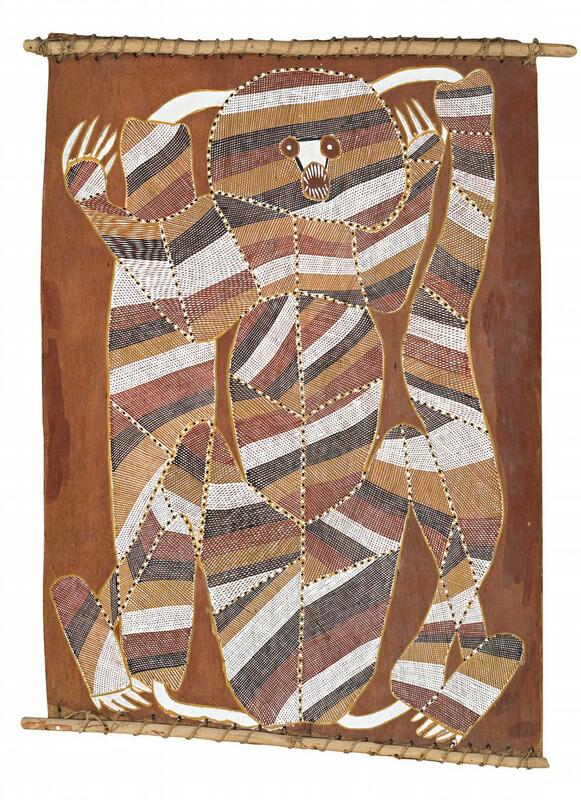 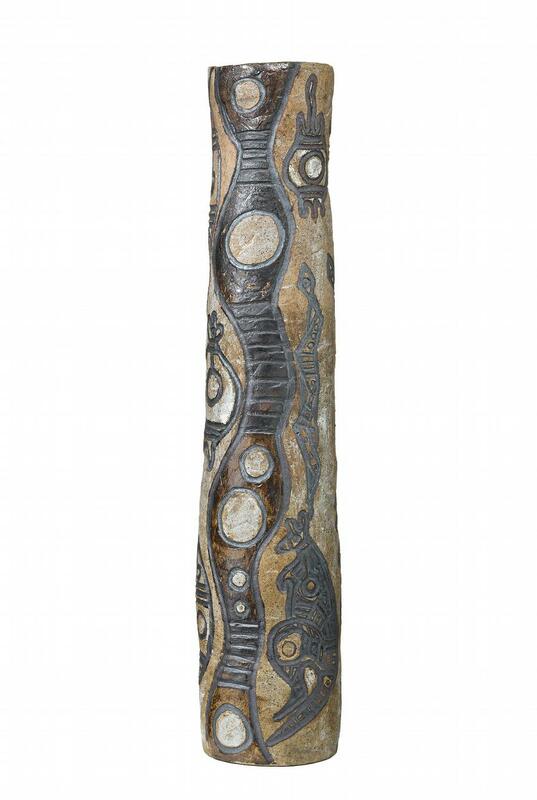 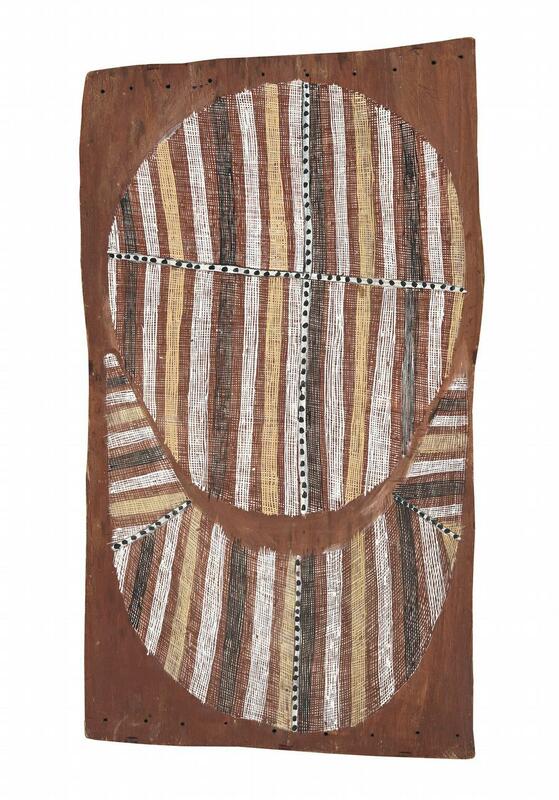 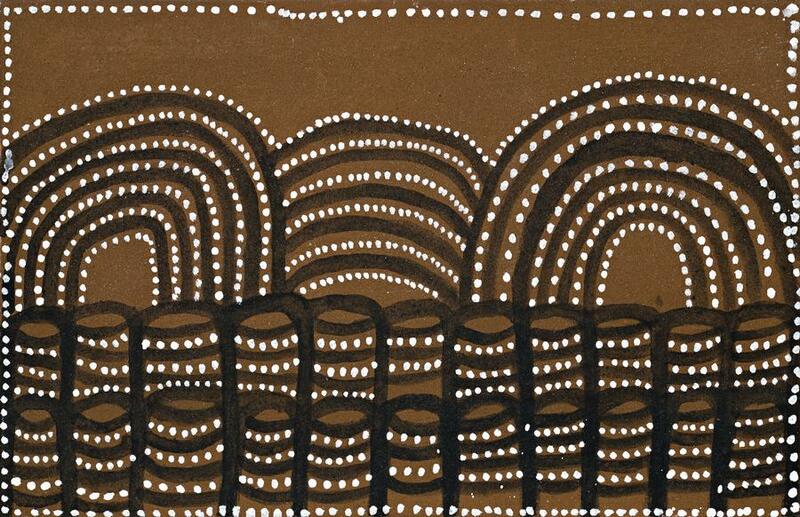 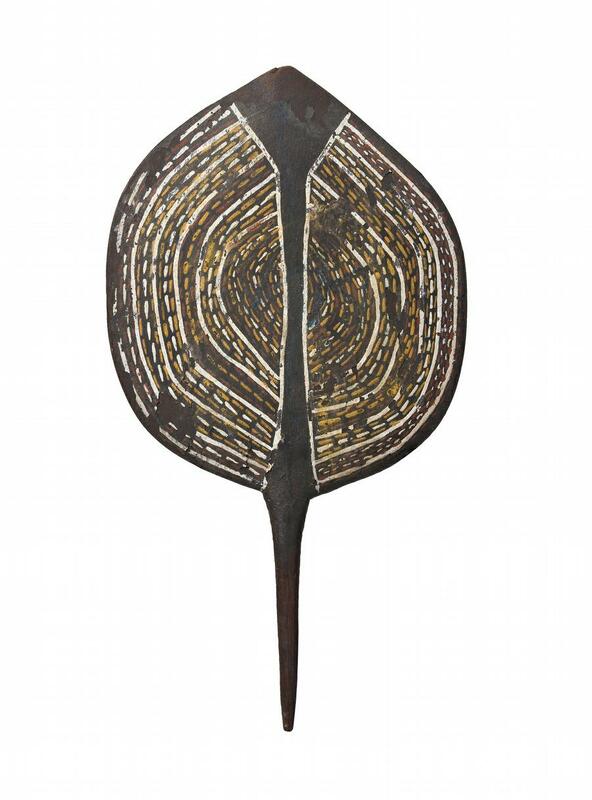 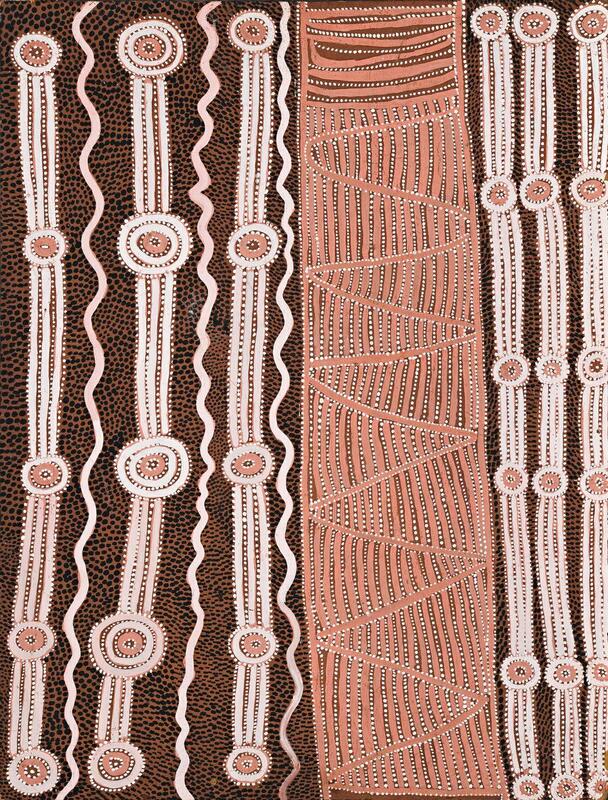 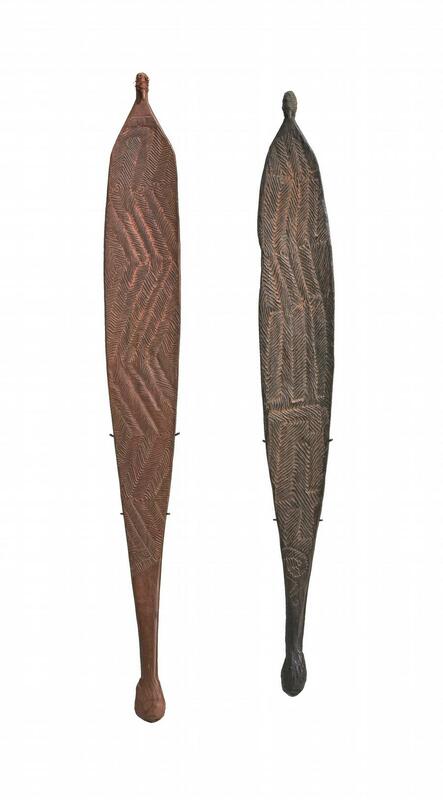 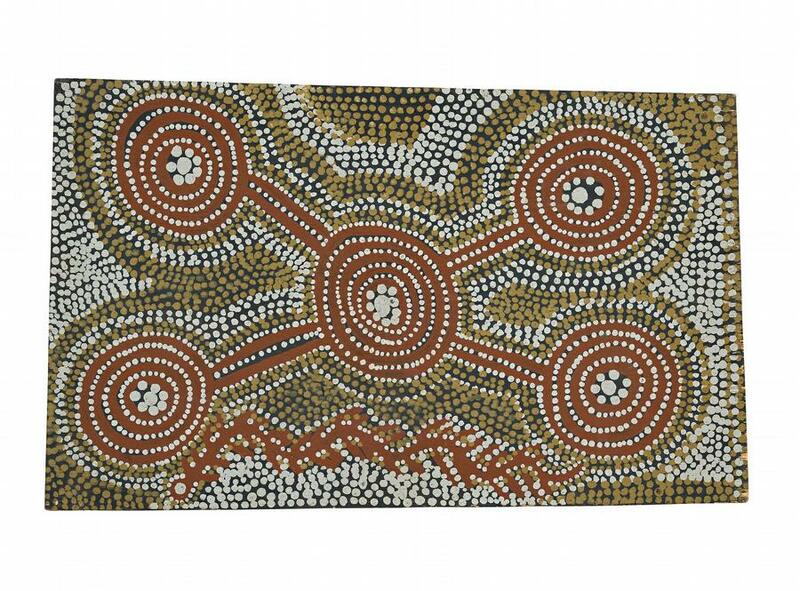 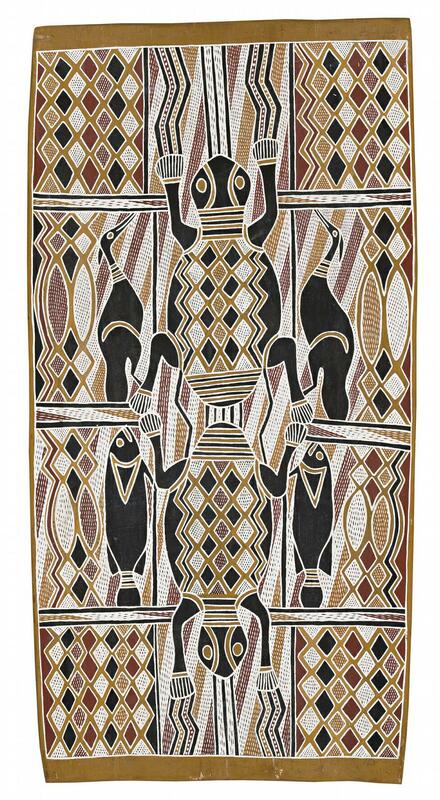 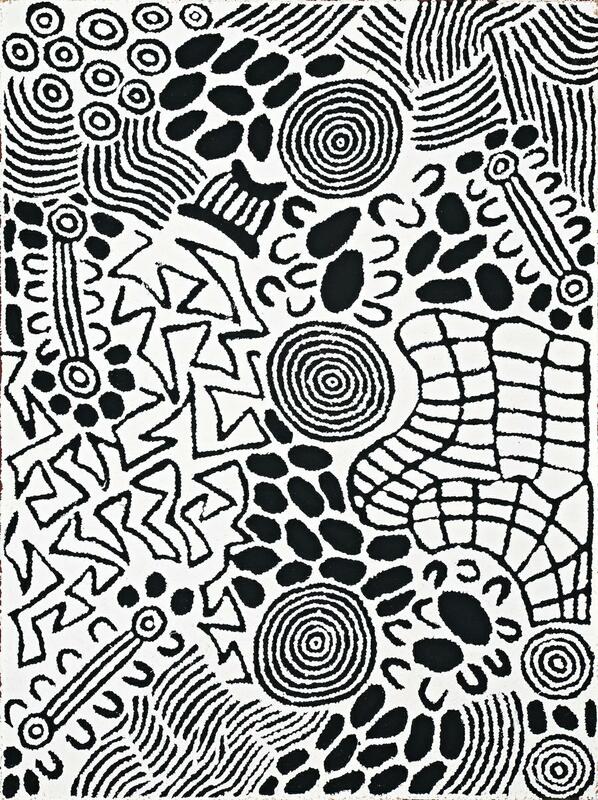 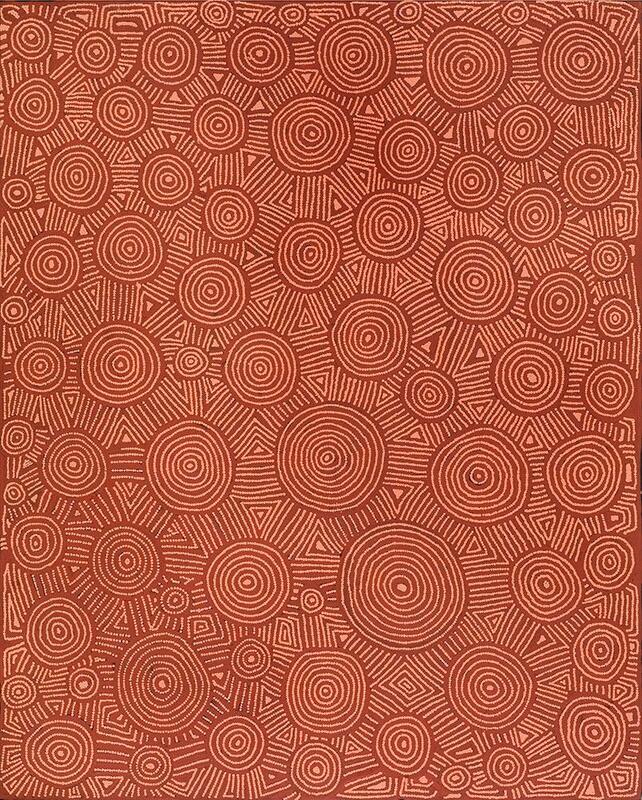 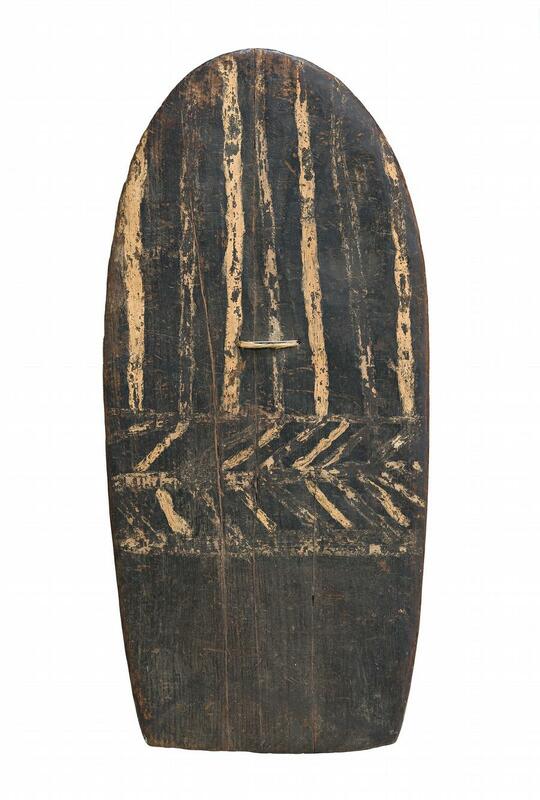 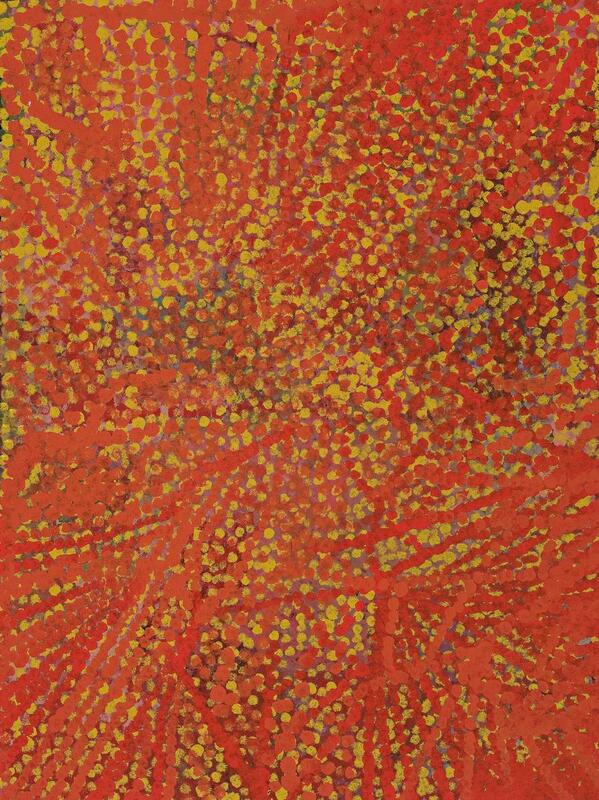 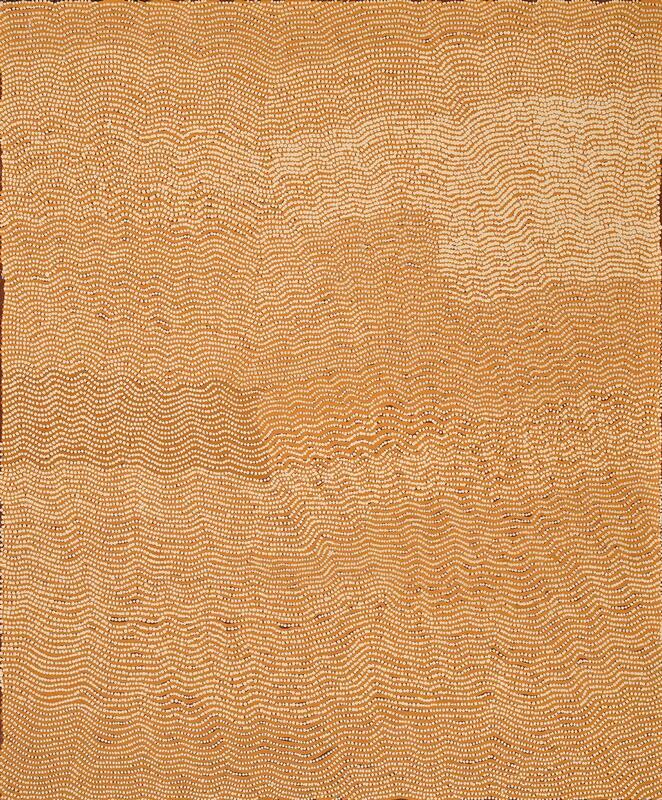 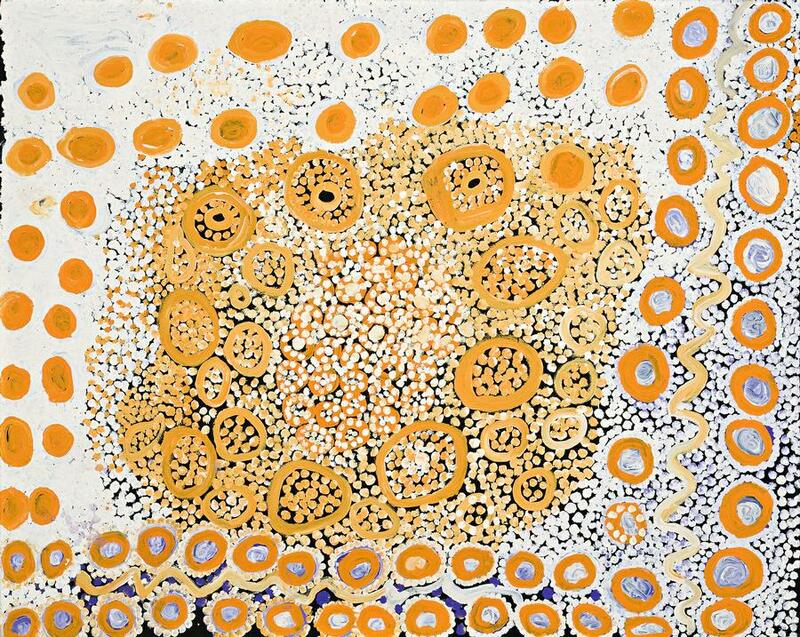 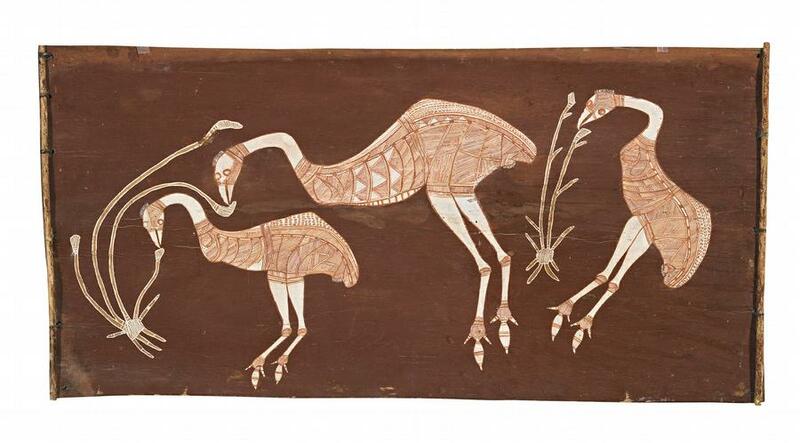 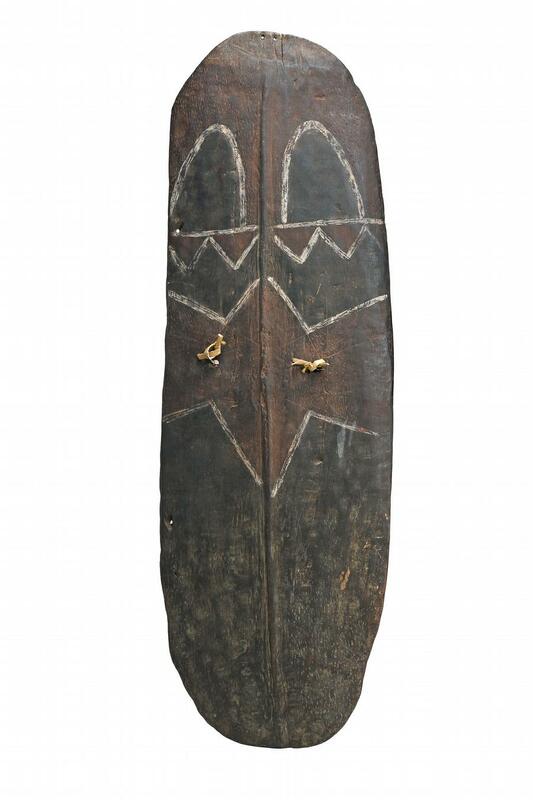 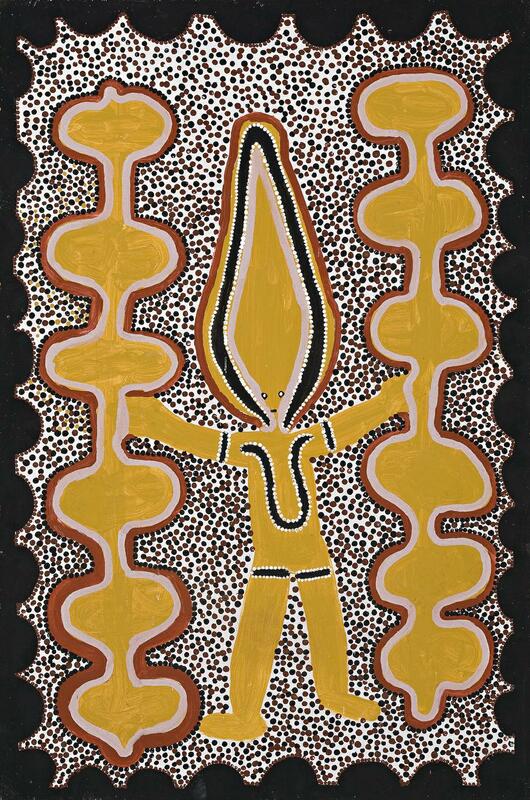 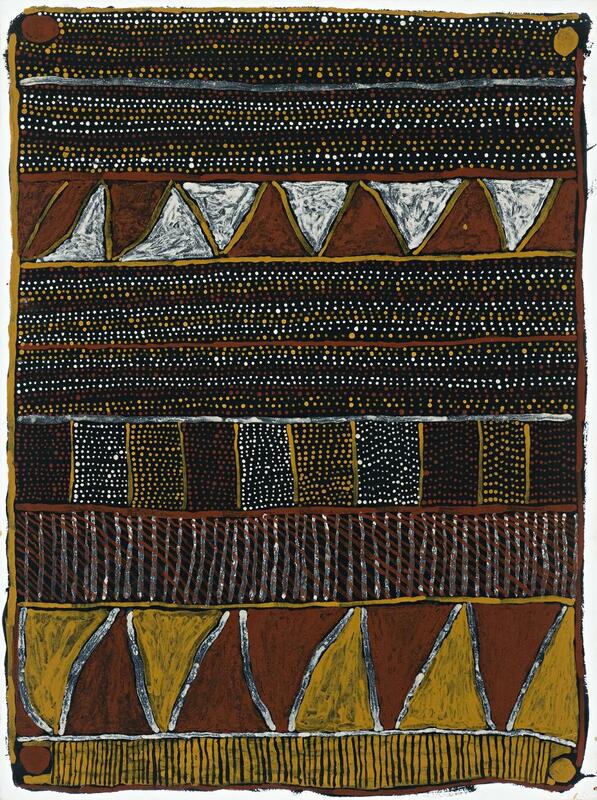 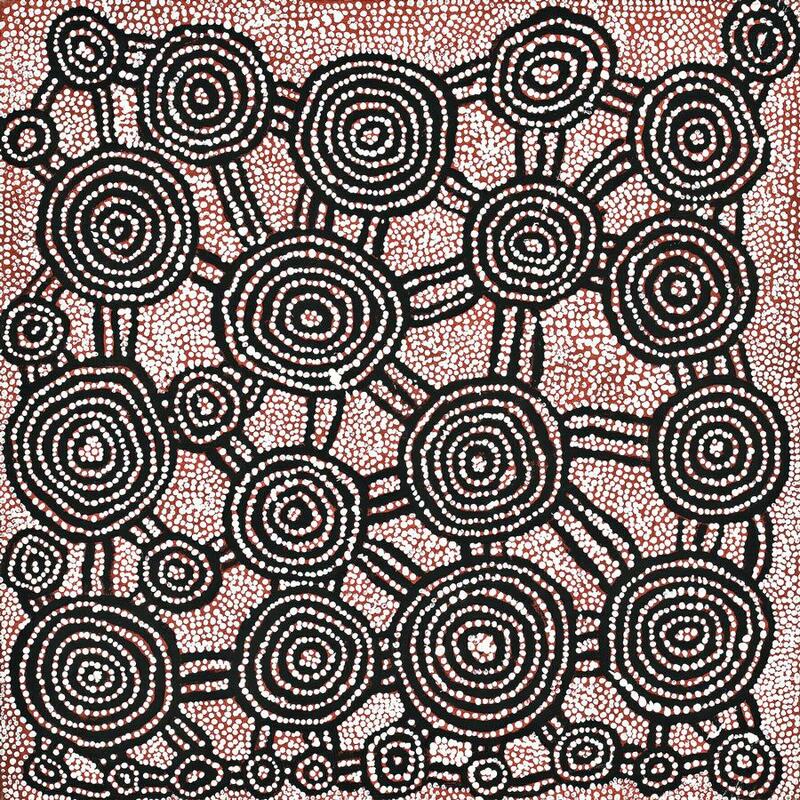 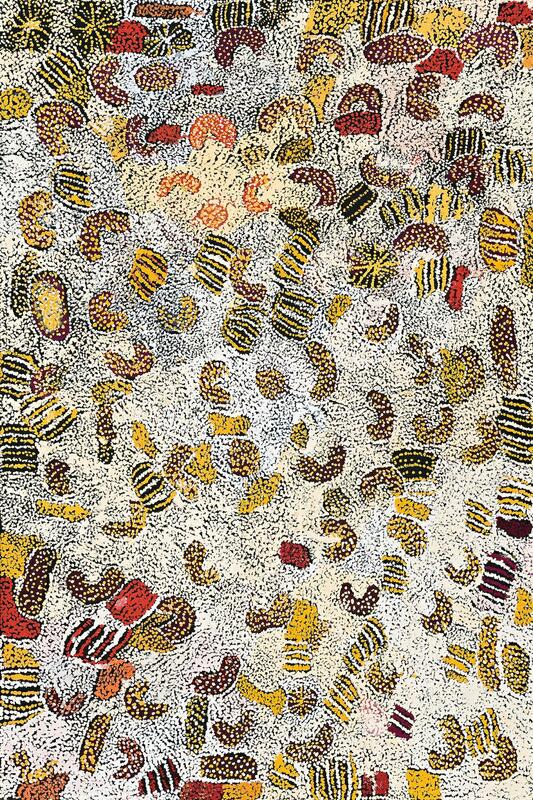 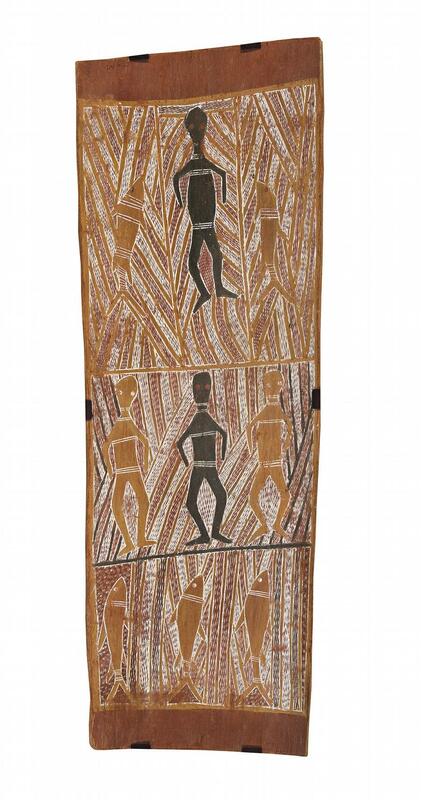 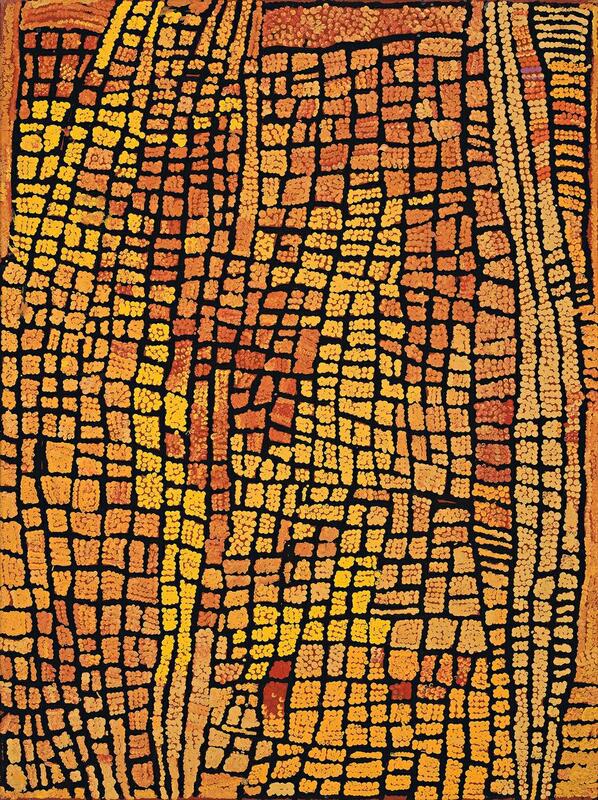 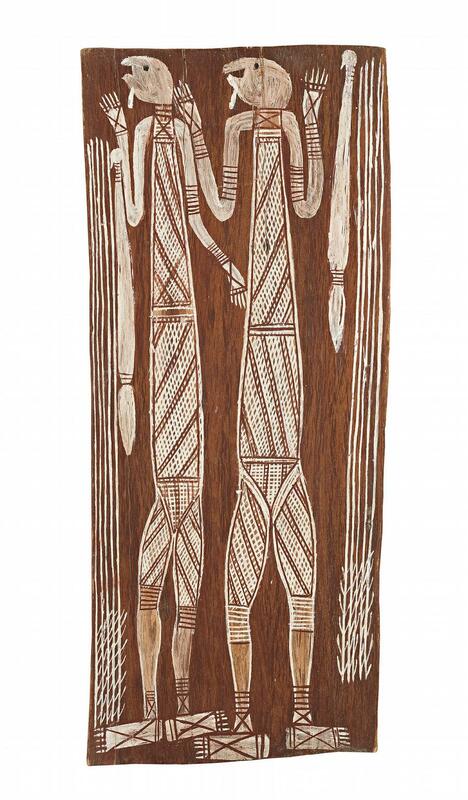 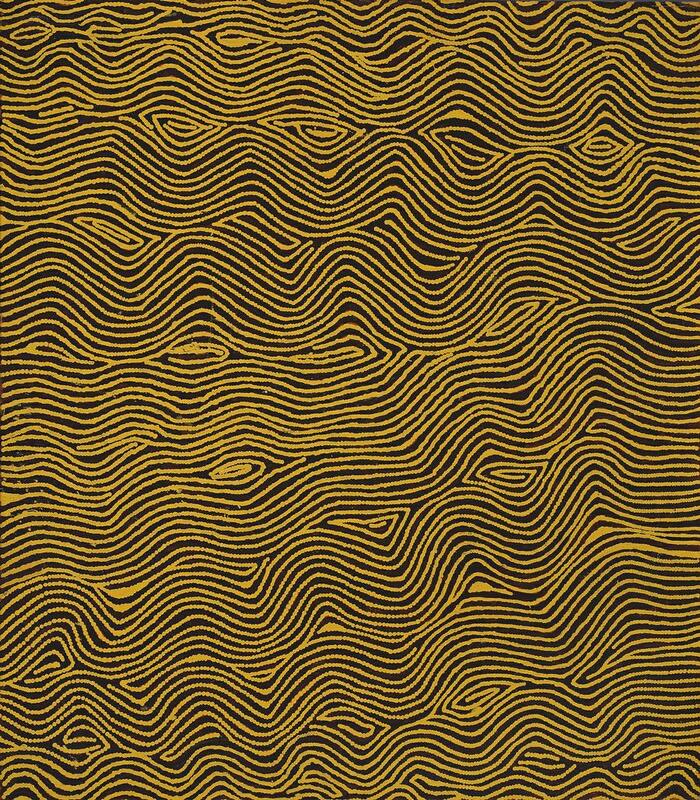 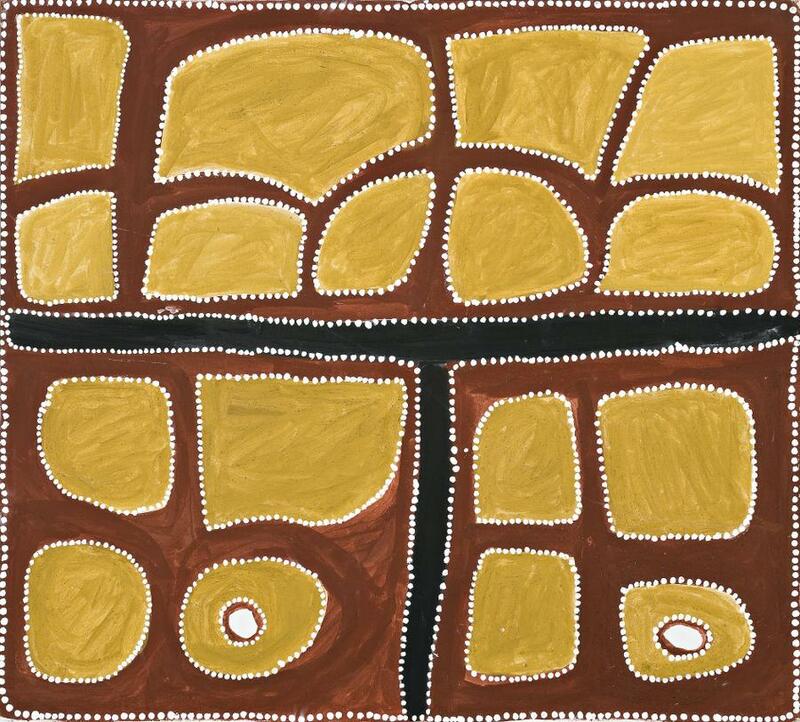 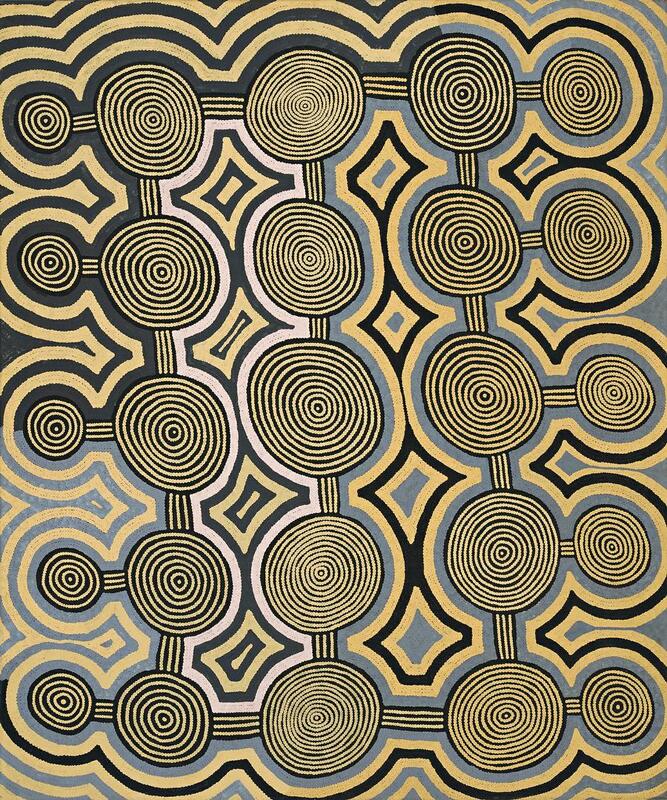 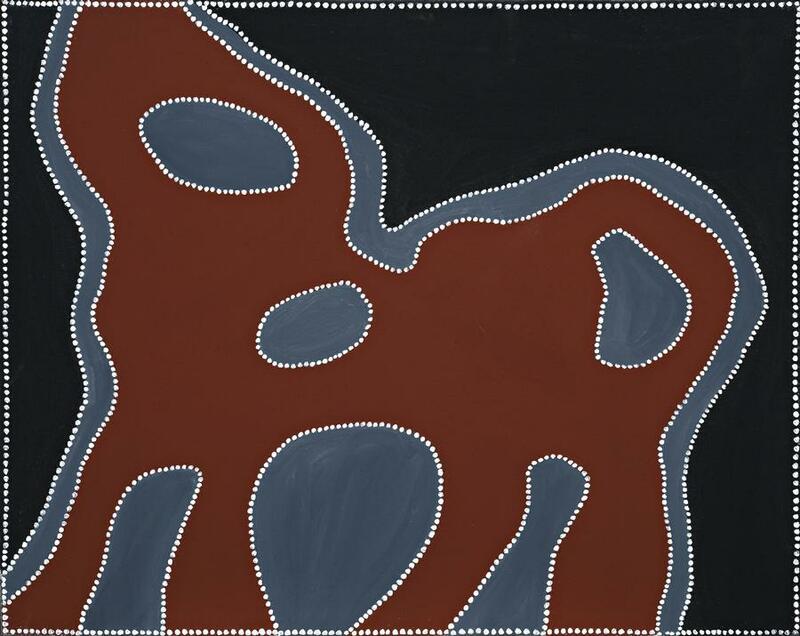 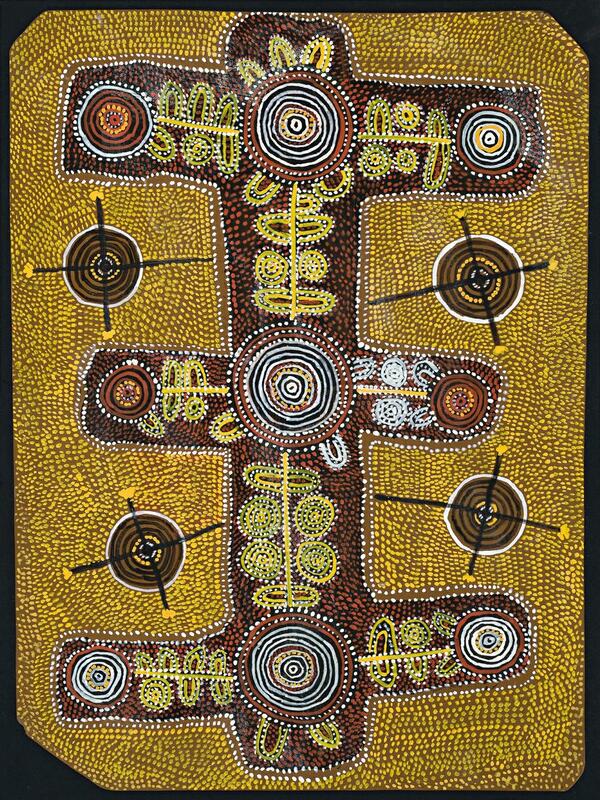 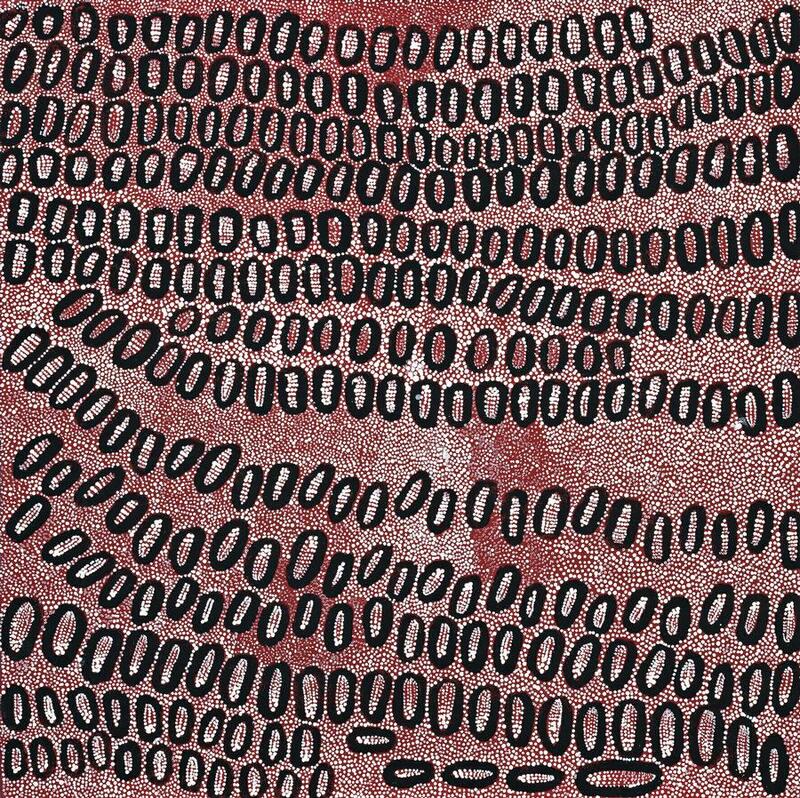 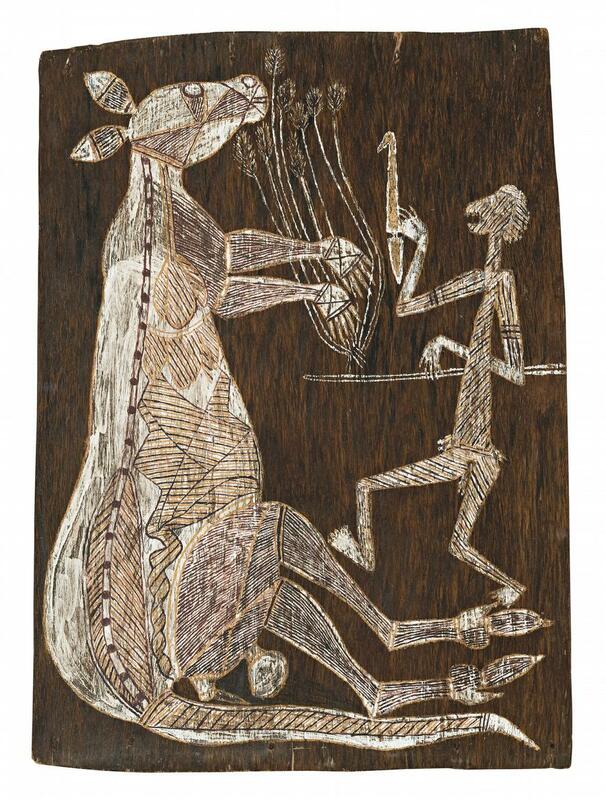 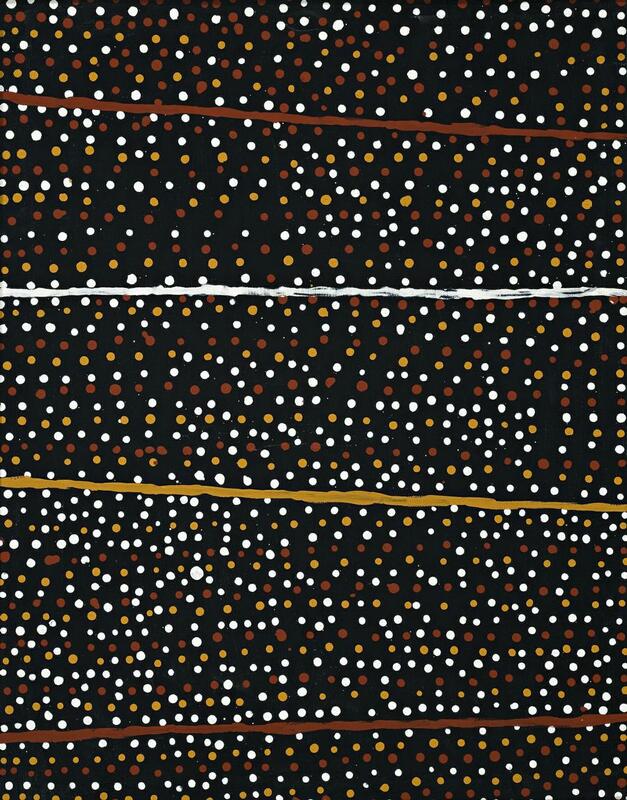 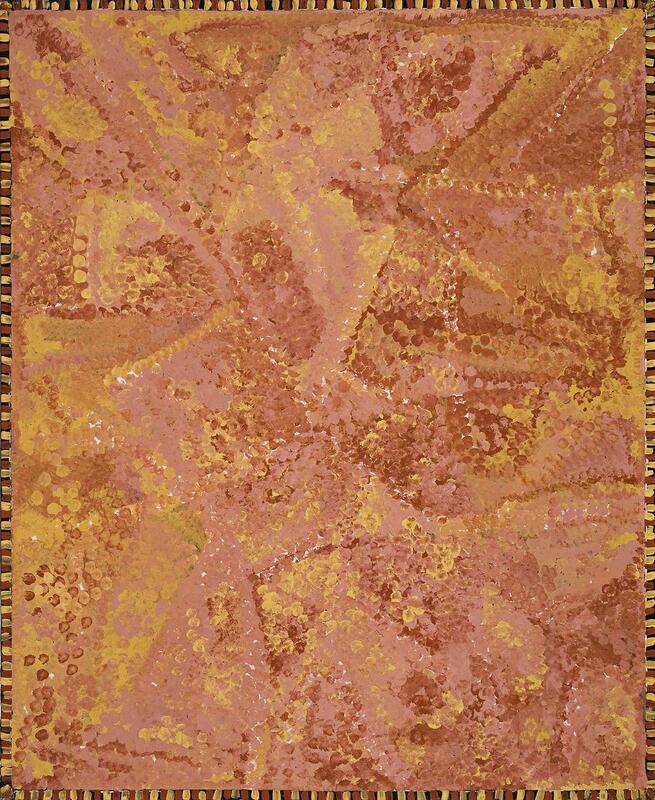 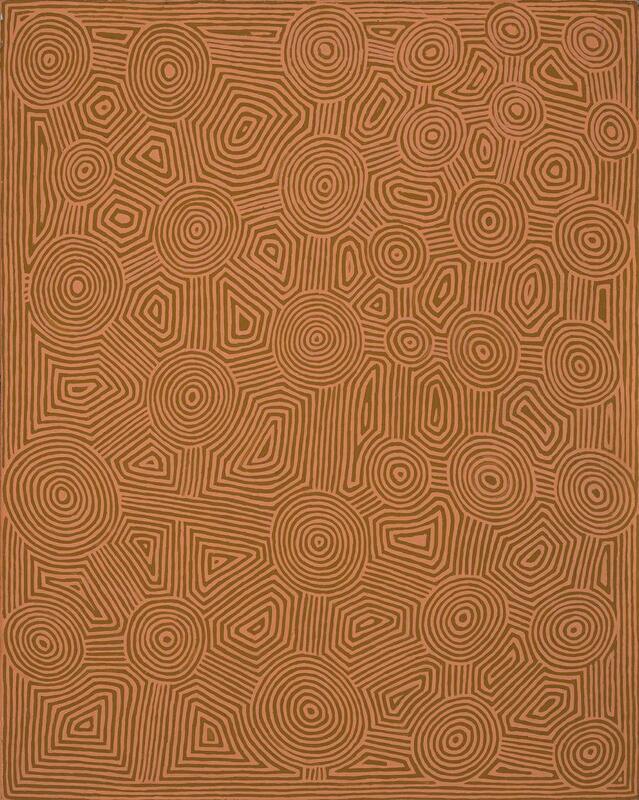 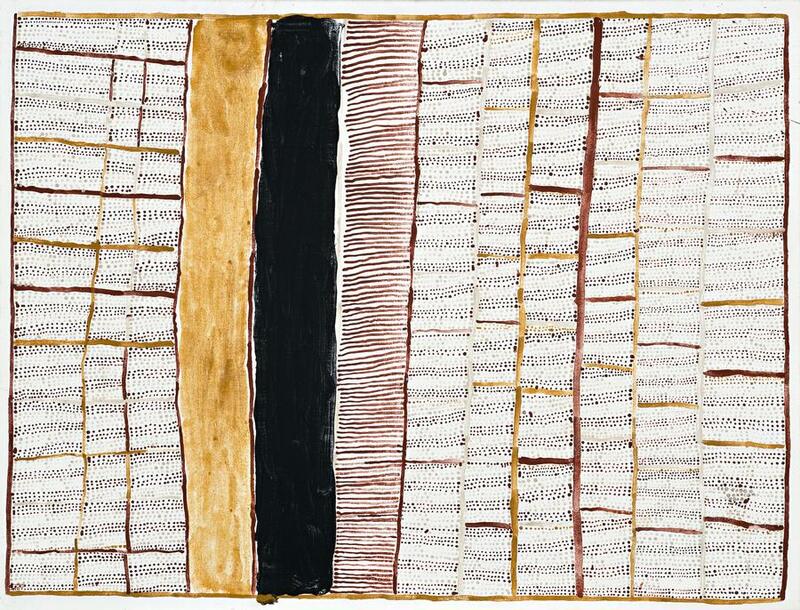 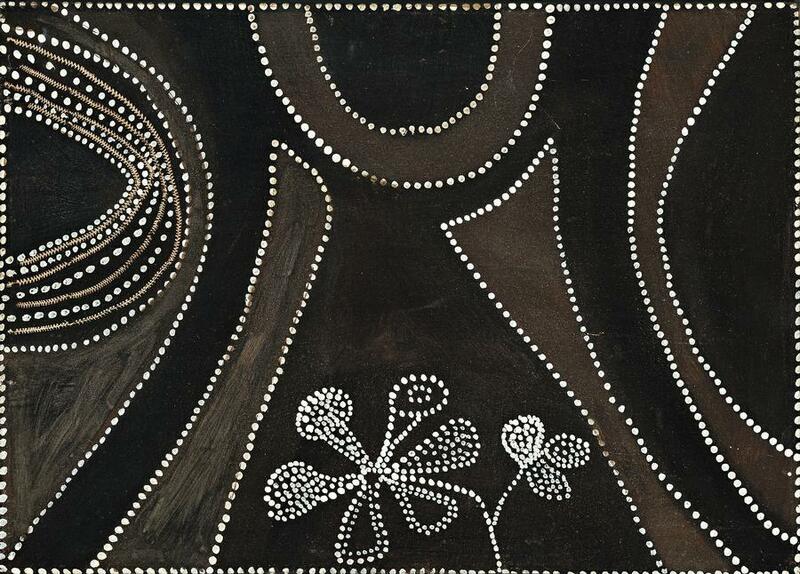 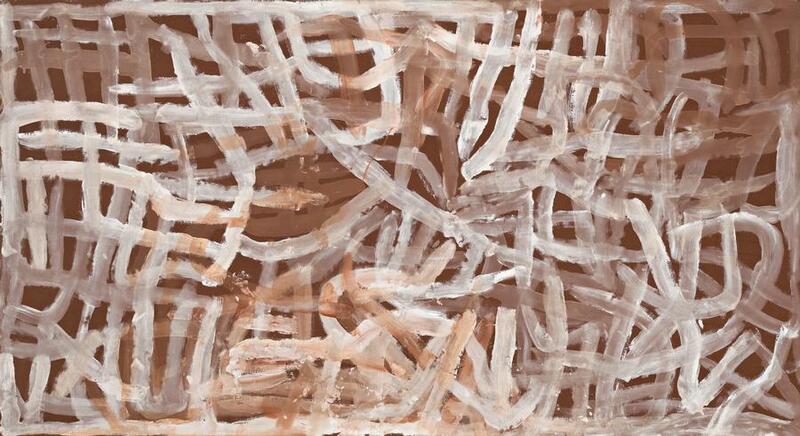 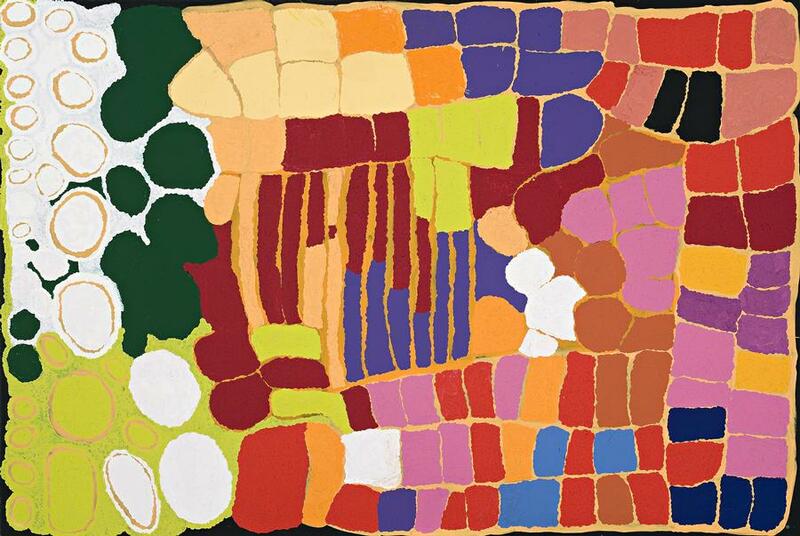 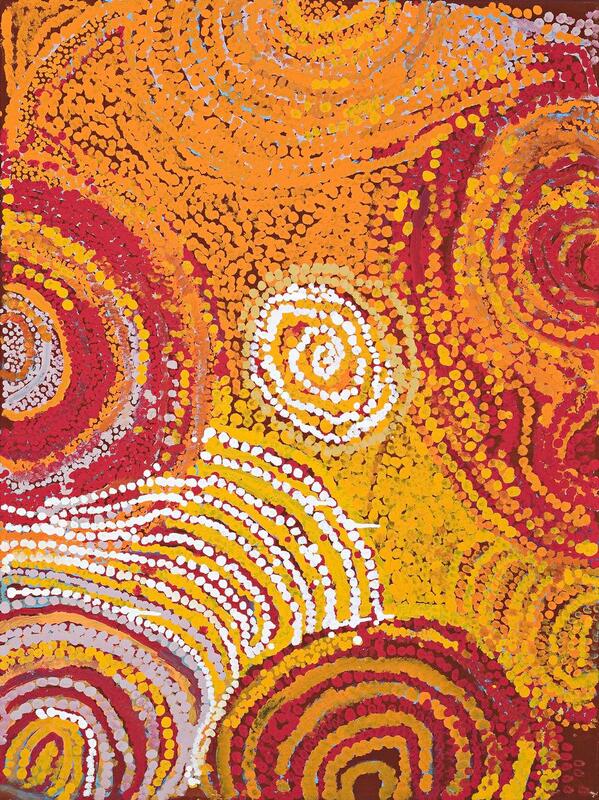 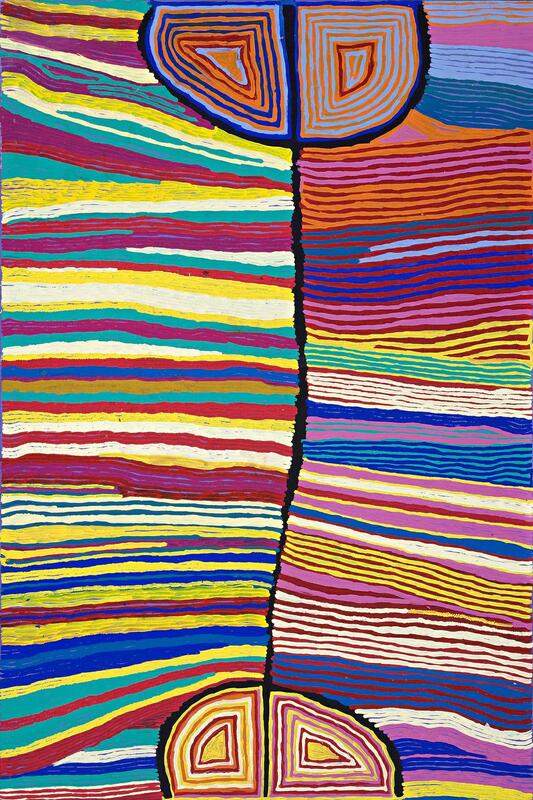 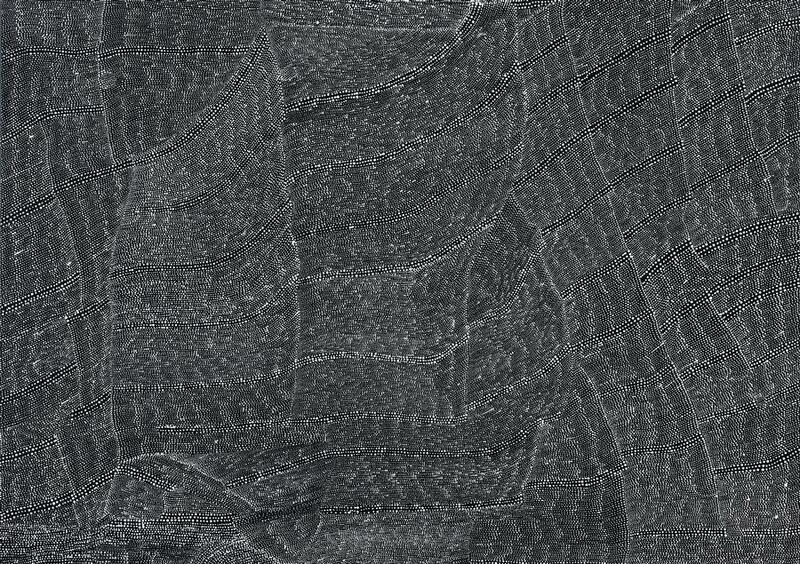 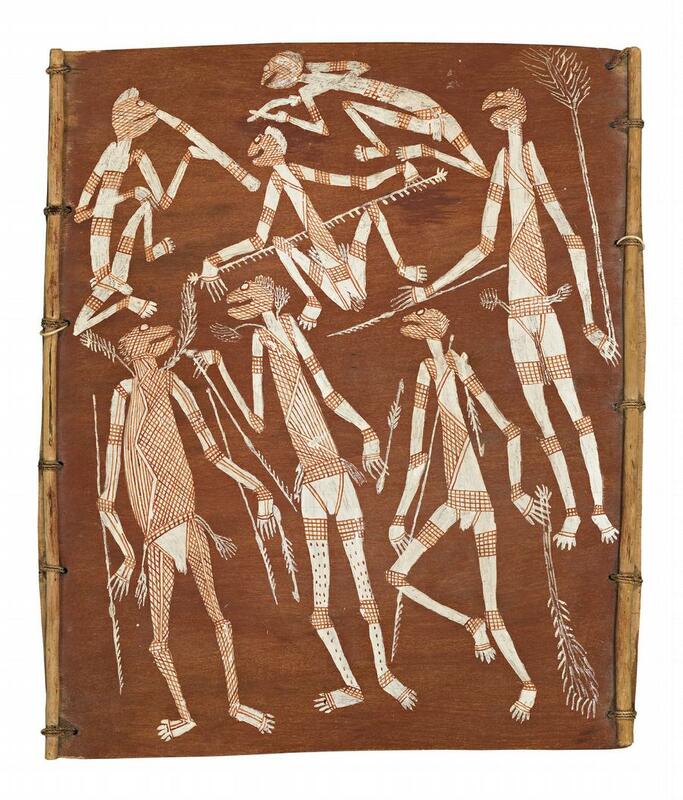 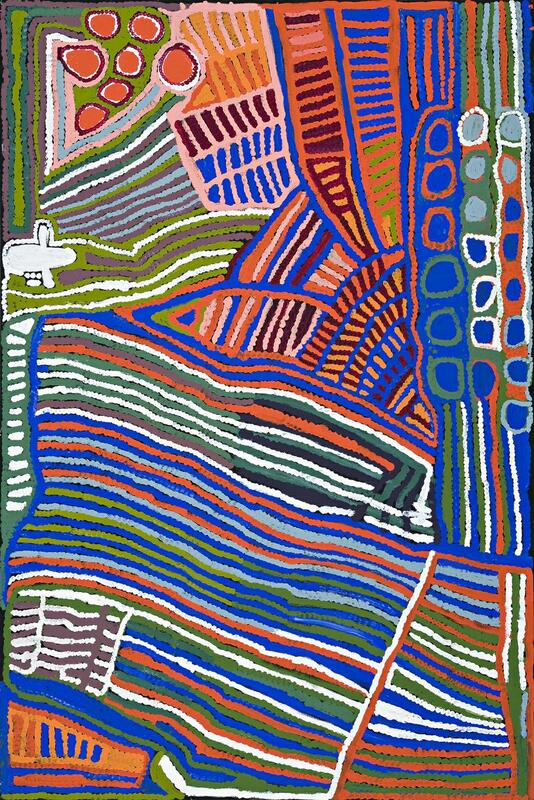 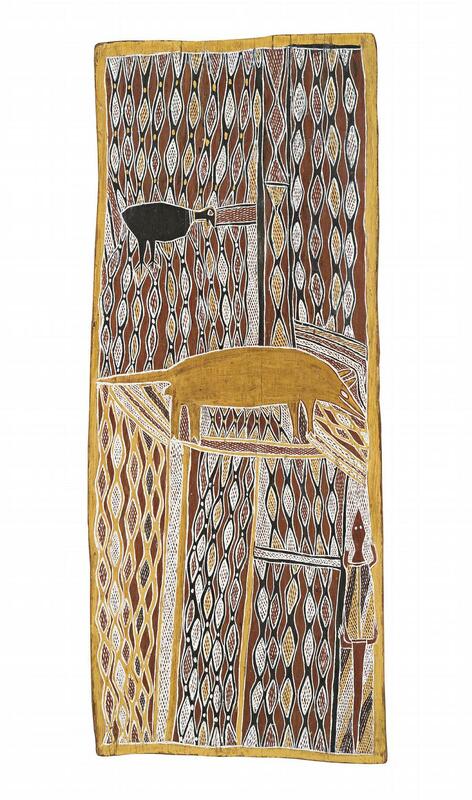 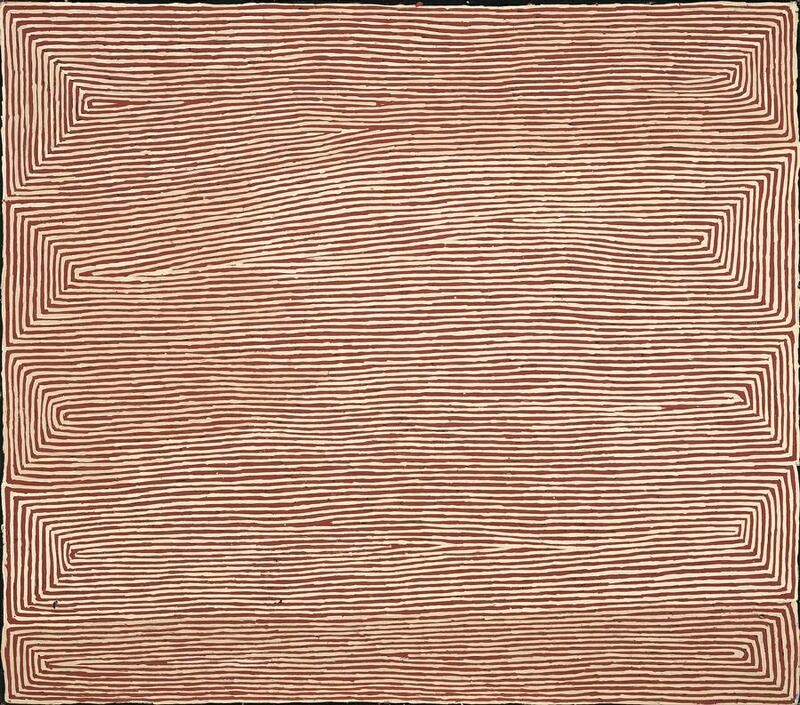 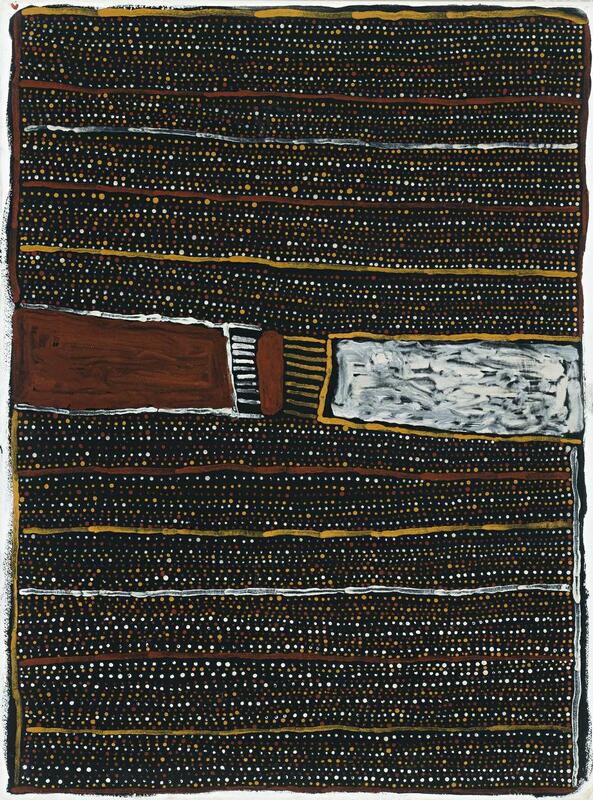 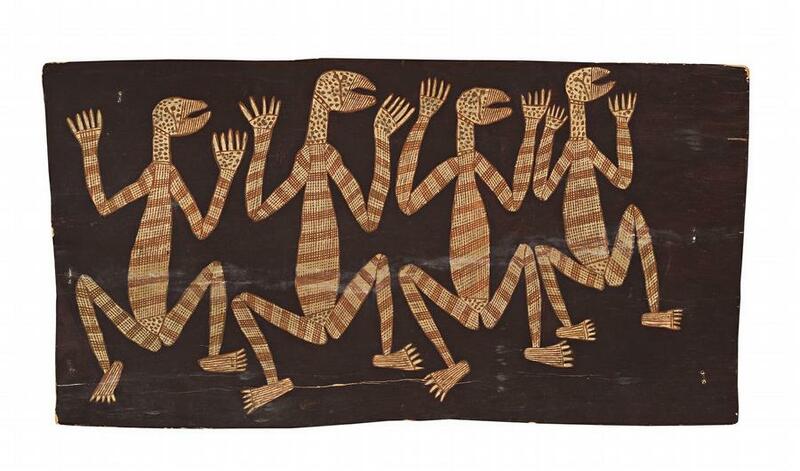 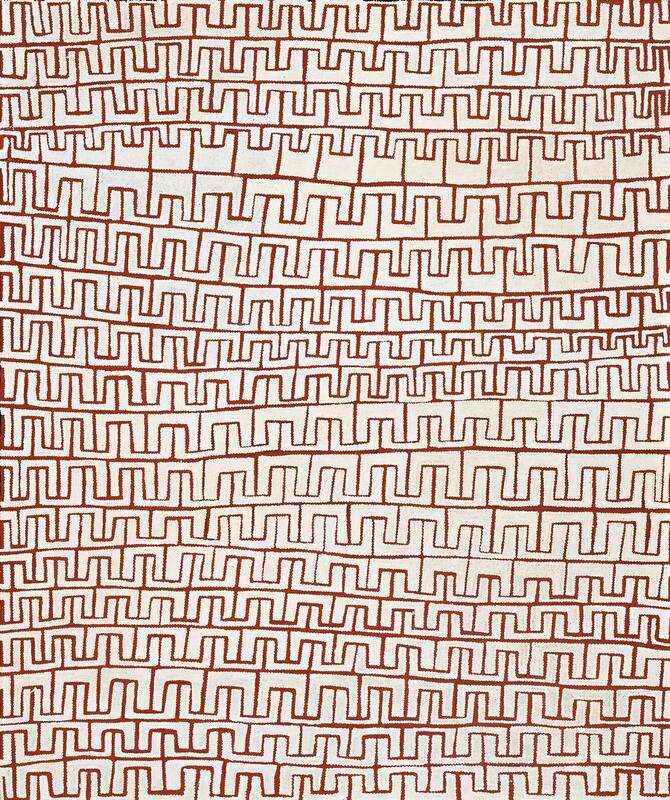 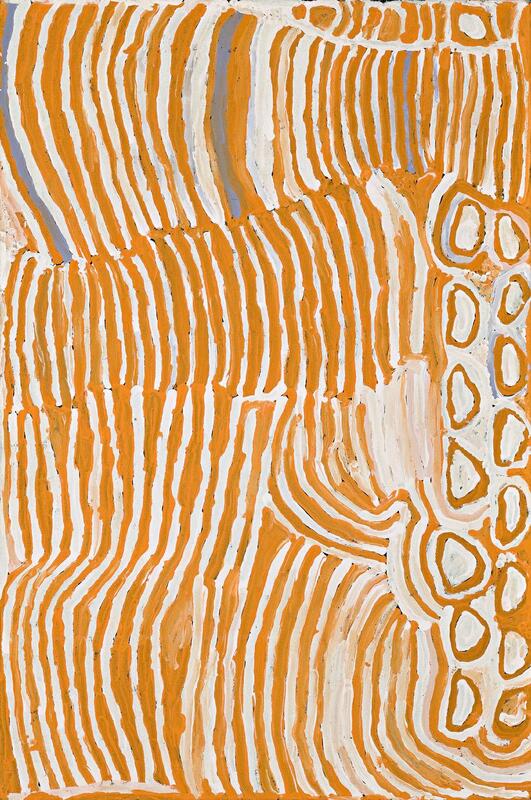 inscribed verso with artist's name, size and Papunya Tula Artists Pty Ltd catalogue number GT0107150. 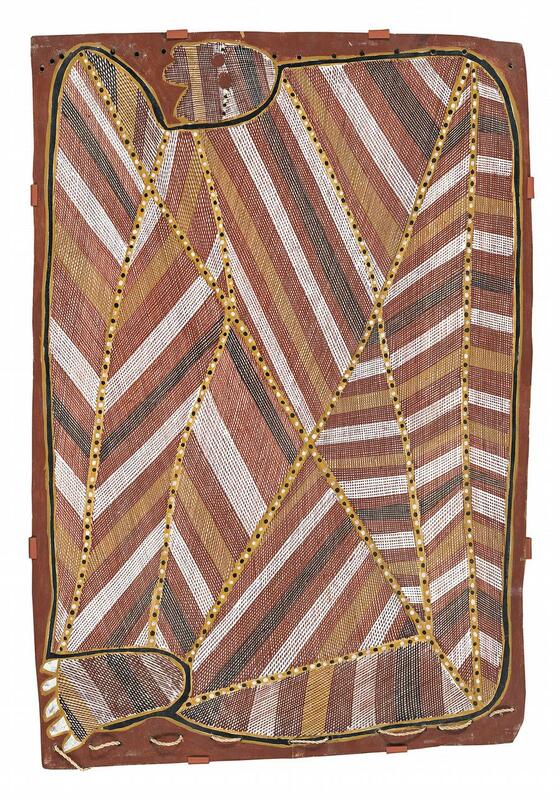 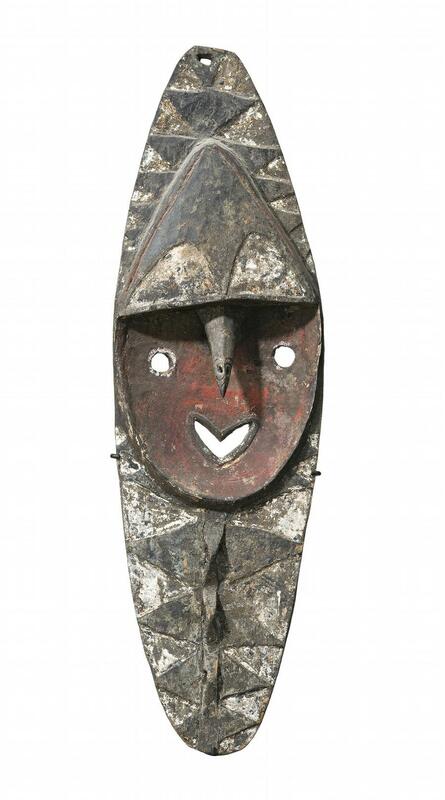 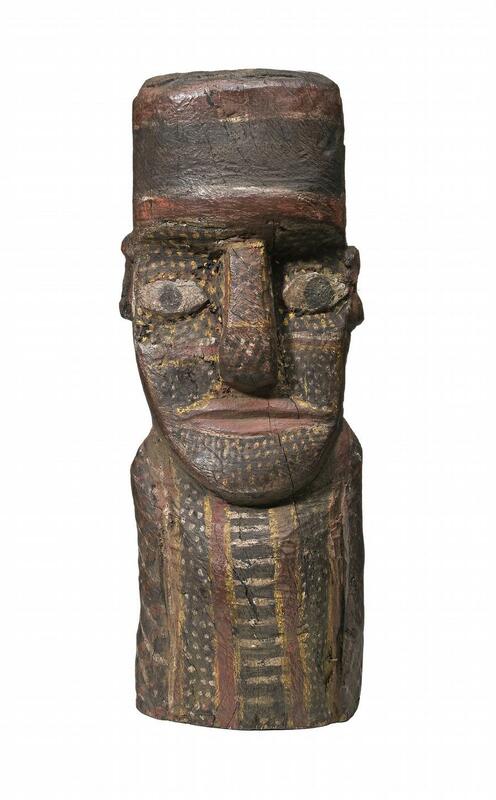 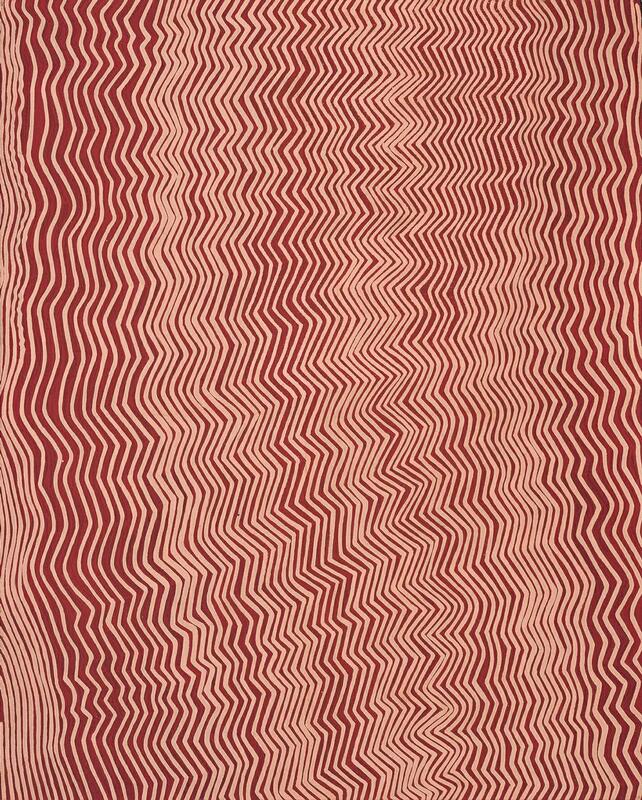 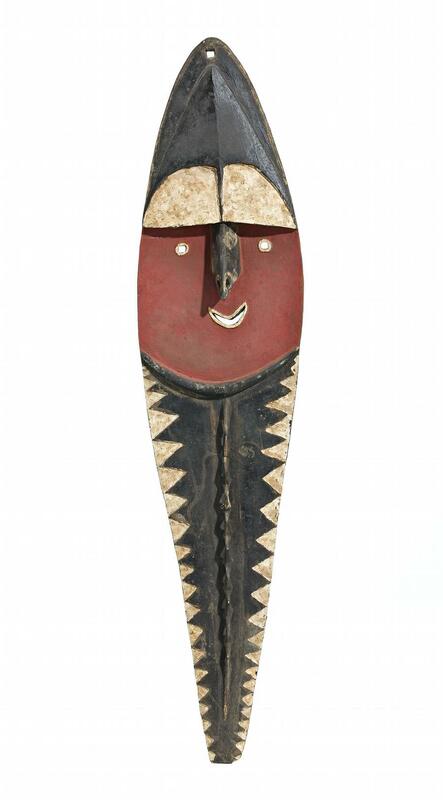 carved softwood with vertical carvings and natural earth pigments, the front decorated with broad vertical linear designs infilled with alternating rows in white and red pigment dotting. 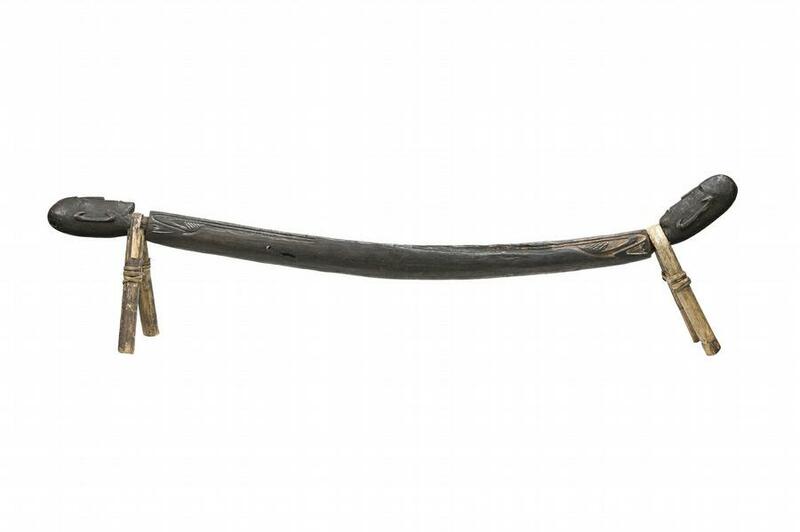 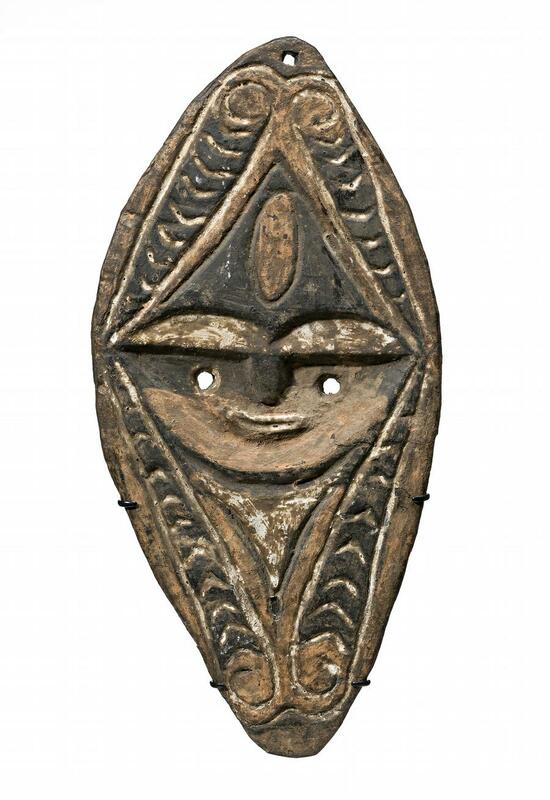 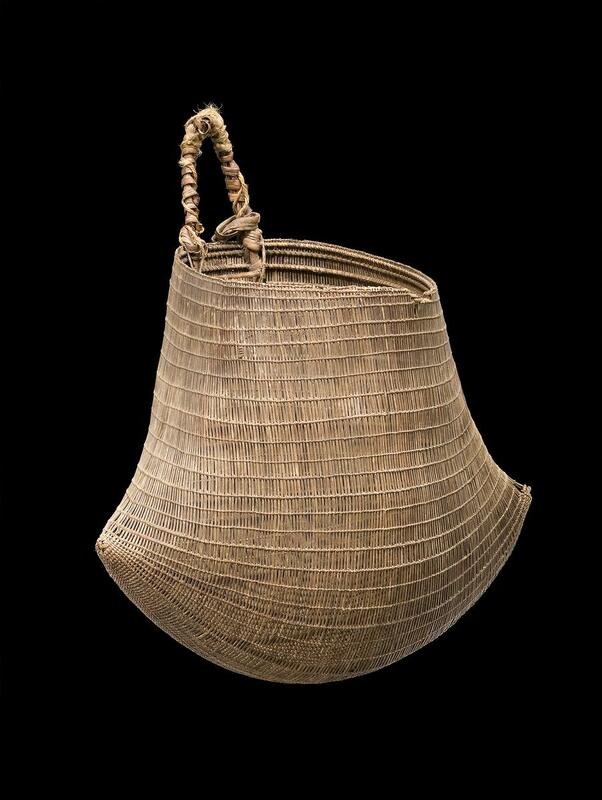 The reverse with broad deep cut shallow fluting and lug handle with remnants of old trade cloth on handle. 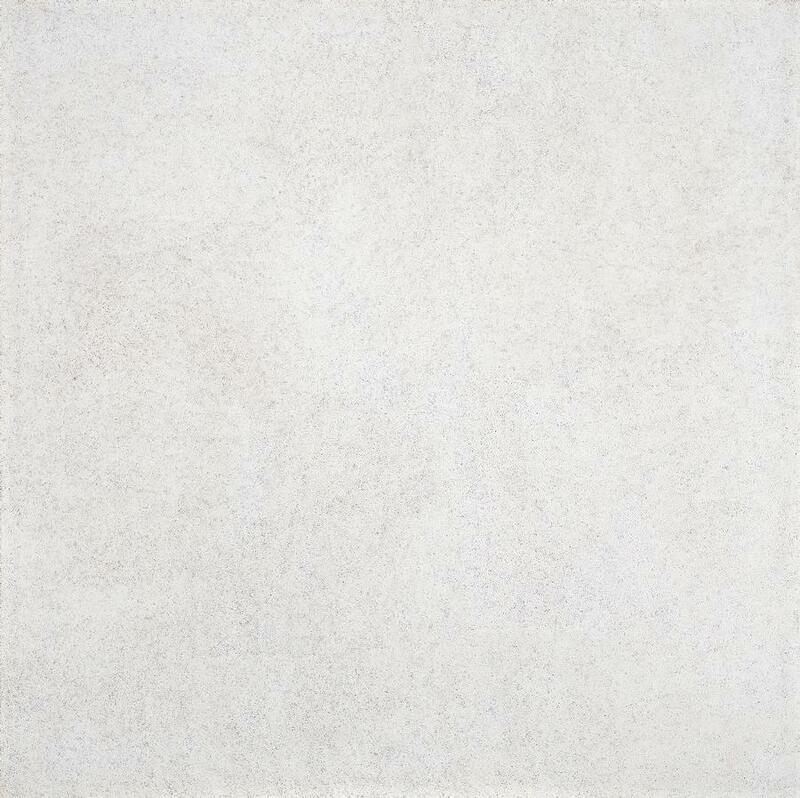 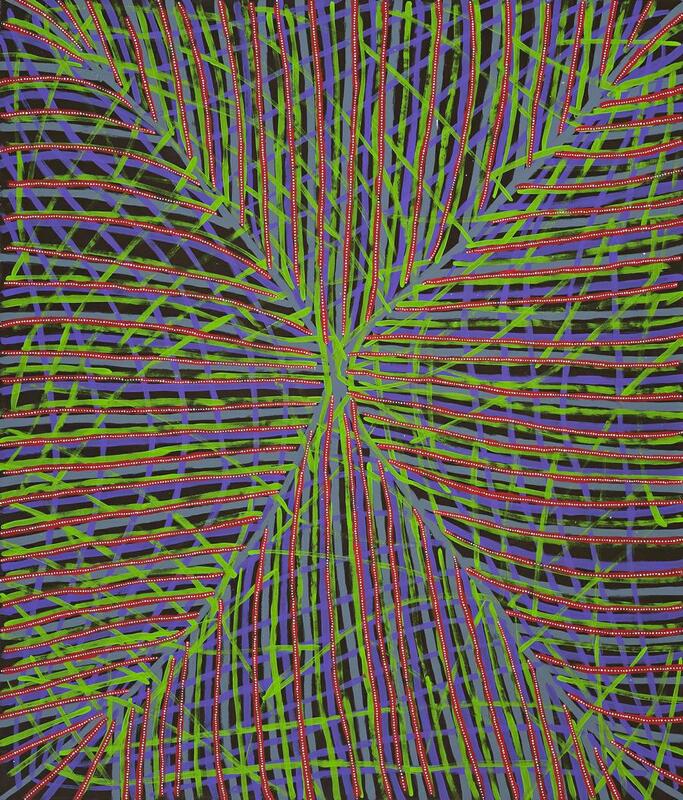 of plano/convex section, the front with shallow linear fluting, the reverse with rough adzed markings.